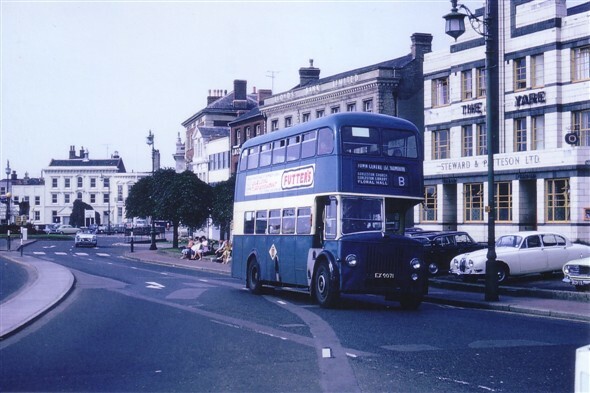 I lived in Great Yarmouth from March 1967 until May 1977 at Number 3, Eagleton Villas, Bath Hill Terrace (adjacent to the erstwhile Styles Secondary Modern School) .... now known as Eagleton House Convalescent/Retirement Home. 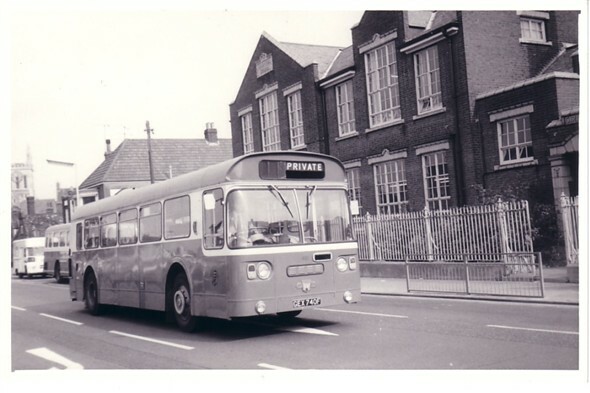 I attended St George's Infants and Nelson Junior schools on St Peters Road in the late 1960s, later St Mary's RC school on Albion Road, then moving on to the former Technical High/Oriel Grammar on Oriel Avenue, Gorleston, before finally finishing my schooldays at the now sadly demolished North Drive High School which was situated right on the seafront, on the corner of North Drive and Albemarle Road and backing on to the Wellesley recreation ground (the long time home of Great Yarmouth FC!). 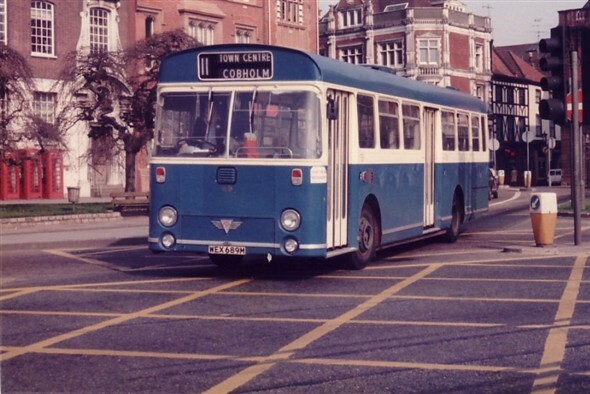 I have had a lifelong interest in public motor transport, especially, the red and cream vehicles of the Eastern Counties Omnibus Company and the blue and cream buses of Great Yarmouth Corporation Transport. 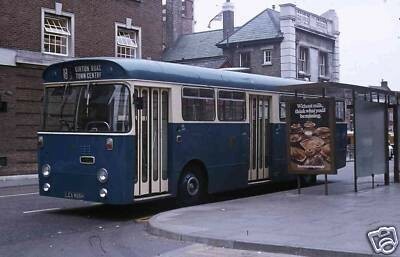 Here you will find a varied selection of photographs I have acquired of the many types of 'blue buses' which operated for 'the Corporation' from its early beginnings in the 1920s until it's sad demise in the late 1980s, as a consequence of the Thatcher Government's controversial bus deregulation rules. 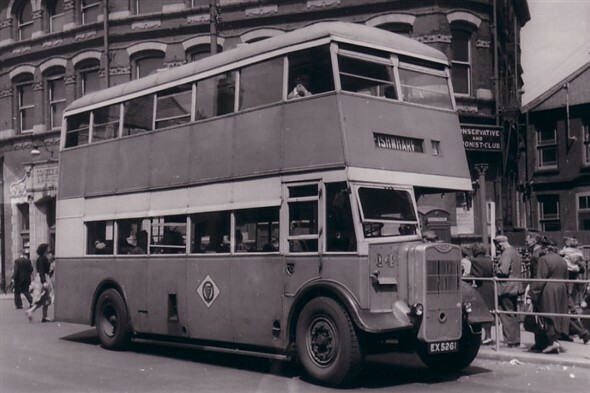 I would also like to include a variety of pictures of former Wellington Road based Eastern Counties Omnibus Company vehicles on this page when time permits. 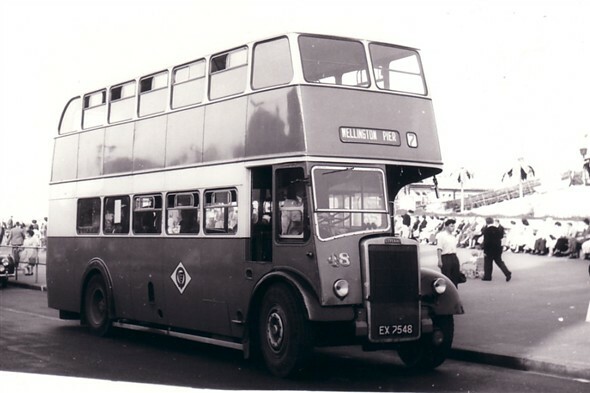 I left the town in the Spring of 1977, moving to Southend-on-Sea, Essex in search of work upon leaving school. I ended up joining the Civil Service as a Clerical Officer with HM Customs & Excise, but my interest always lay in road passenger transport. 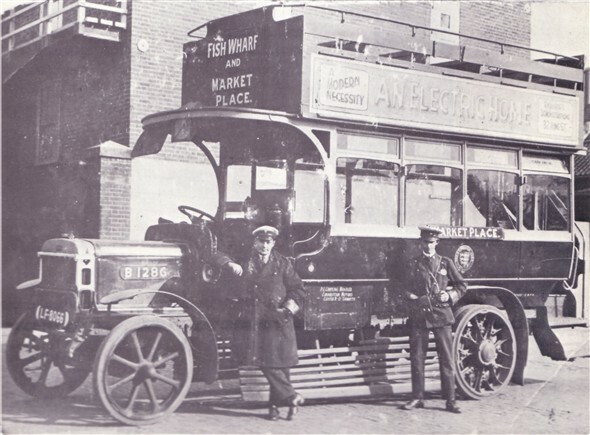 I returned to East Anglia, settling in Norwich some three years later, continuing my career with the Customs Service. When 'the Customs' were forced to merge with the Inland Revenue in 2005, I found myself transferred to 'Revenue' duties as more and more Customs work was 'centralised' away from Norfolk. With very little job satisfaction remaining, I finally succumbed to the ever growing temptation to work with buses and joined the First Eastern Counties Bus Company as a driver in Norwich in August 2010. 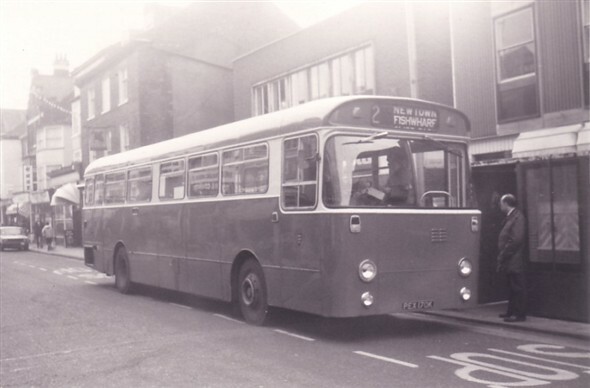 No 47 (EX 7547) in the High Street, Gorleston? No 17 (EX 5264) - Wartime Guy Arab II at Shrublands? No ? (AEX 33?) - emerging from The Conge into the market place, Futters furniture shop in the background. No 54 (EX 5934) Location? 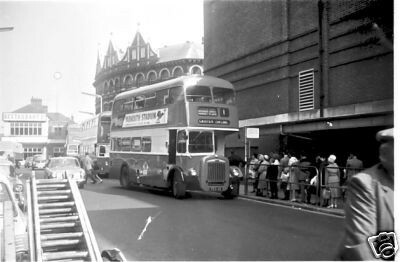 No 30 (CVF 30T) approaching Admiralty Road? No 88 (WEX 688M) location? 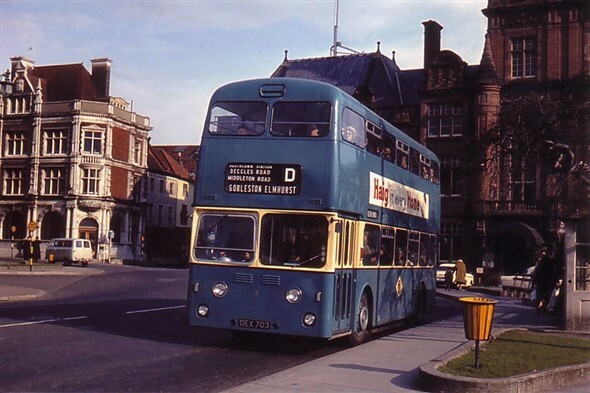 No 15 (MTT 635) location? No ? 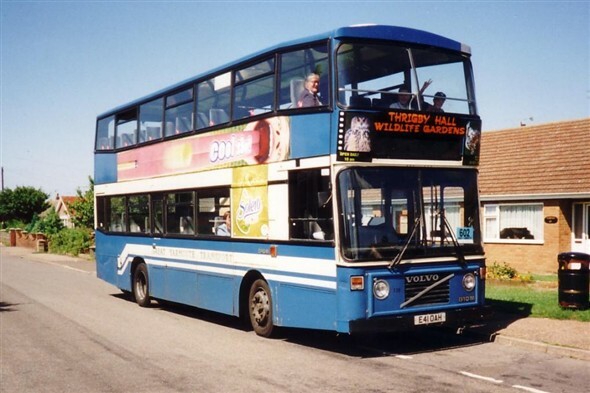 (E41 OAH) seen here at Corton near Lowestoft? No ? 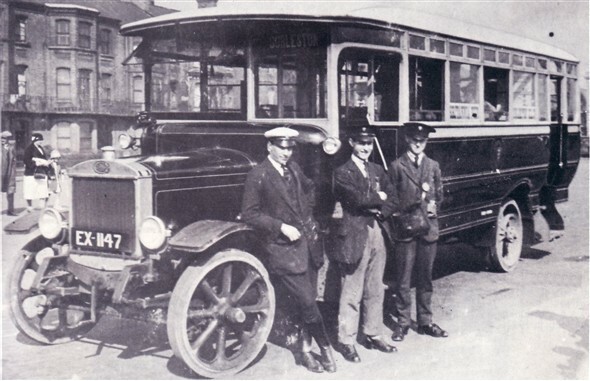 (EX 1147) one of the seven Guy BB saloons delivered to the Corporation in 1924 to replace electric trams. Location? No ? 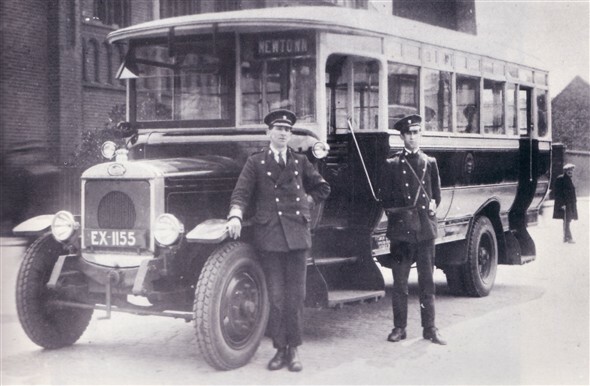 (EX 1155) one of the seven Guy BB saloons delivered to the Corporation in 1924 to replace electric trams. Location? 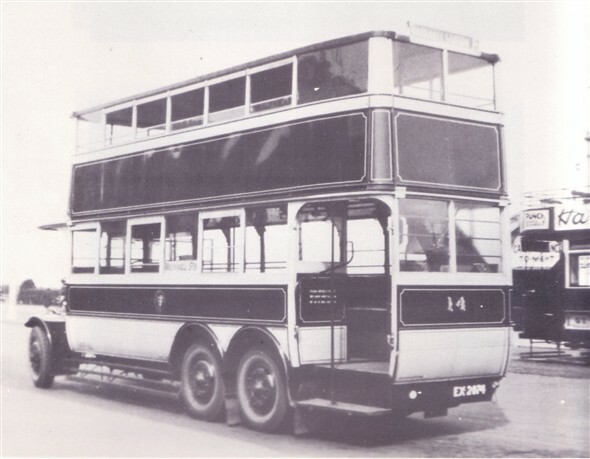 No 14 (EX 2074) One of the Guy FCXs with United bodywork delivered between 1924 and 1930 to replace electric trams. 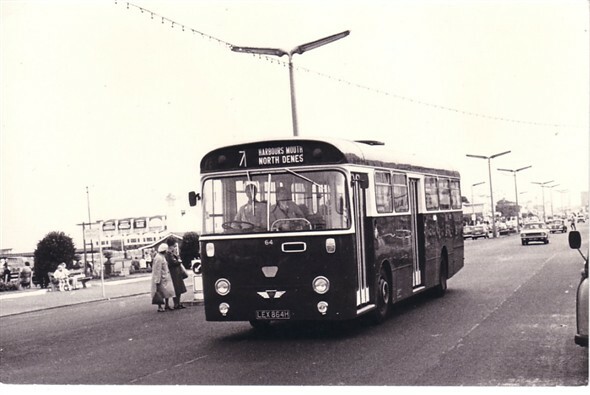 Location - Marine Parade? No ? 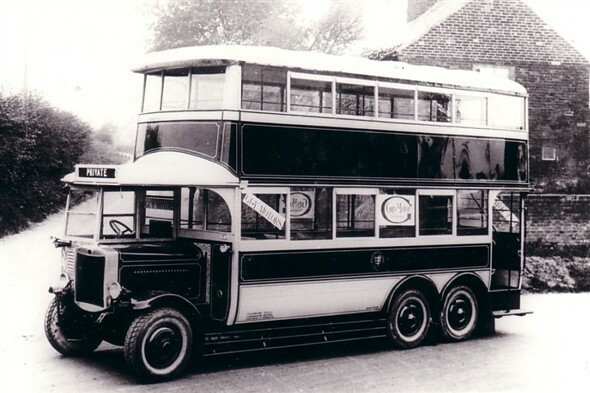 (EX 2878) An AEC Regent I delivered to the Corporation in 1931. Location ? No ? 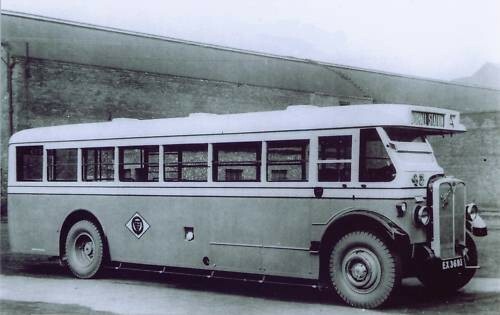 (EX 3693) One of a small batch of AEC Regal IVs which were delivered to the Corporation in the early 1930s. Location ? 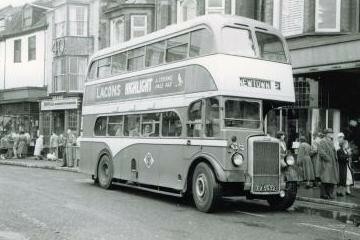 Photograph of a Great Yarmouth Corporation bus parked on Beevor Road, Great Yarmouth. 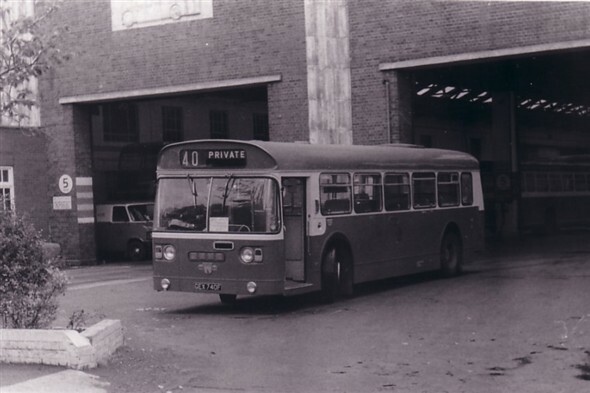 This is outside of Birds Eye Foods at the riverside end of Beevor Road before this section was fenced off and became part of the factory site. It would have been possibly in the late 1950's or early 1960's. Maybe some of the Birds Eye ladies will recognise themselves or their colleagues. This page was added by Patrick Burnside on 11/03/2011. 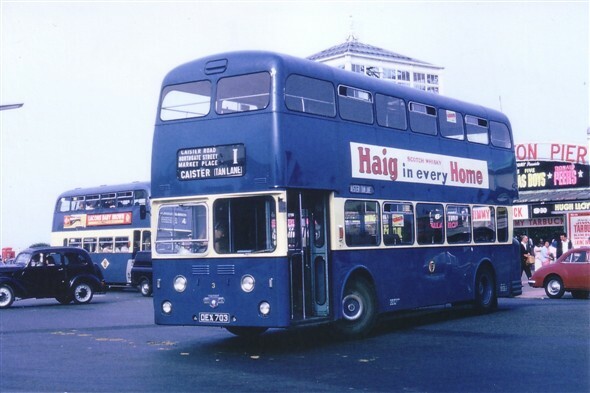 What a wonderful collection of photographs of the old blue bus livery . 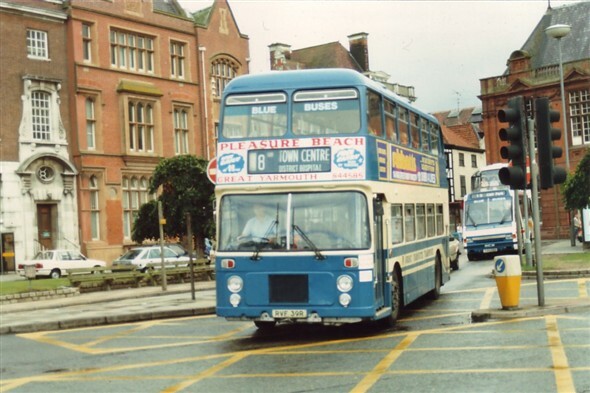 Many of those buses I have driven or conducted on. 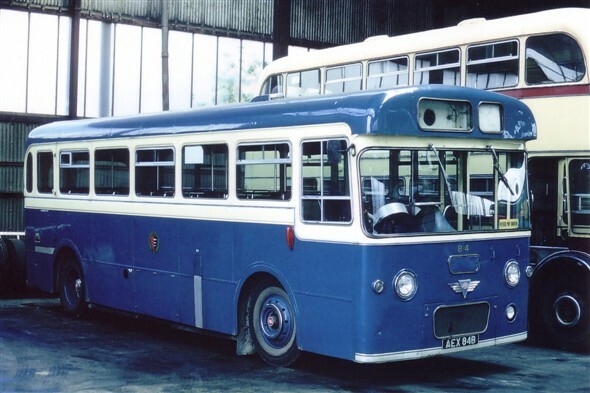 I commenced working for G.Y.C.T IN 1966 although I didn't start on the road until Jan 67 ,up until that time I worked in the depot in Caister road. 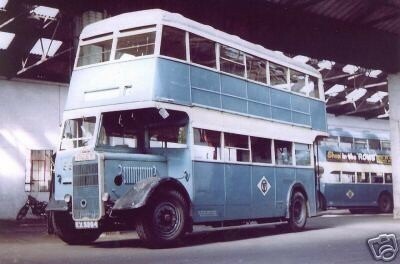 I can clearly remember conducting on the Leyland and A.E.C. 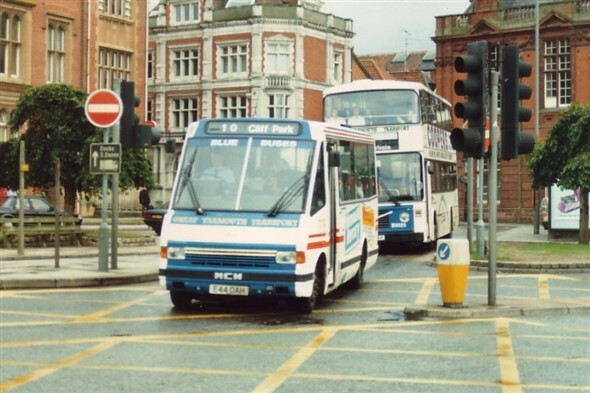 buses , I can remember the A.E.C Swift single deckers arrive. 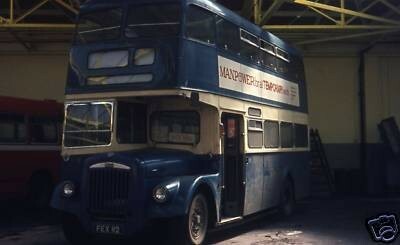 These had no governors fitted as I believe they were motorway buses. 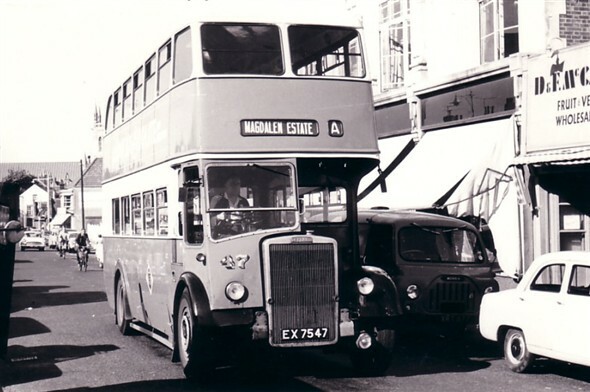 The old Daimlers front entry were the worst buses to conduct in as there was very little space to stand at the front of the bus. 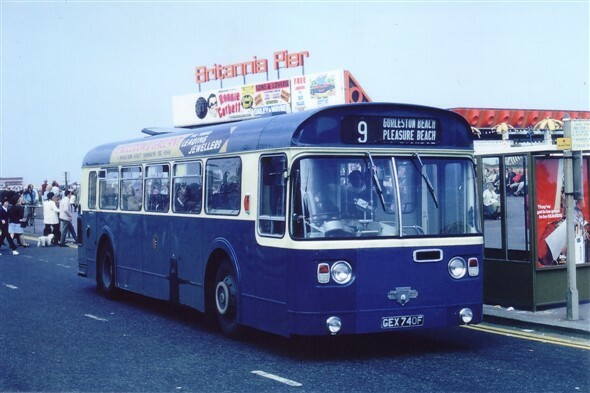 They were not too good to drive either , when the Leyland Atlanteans arrived it was like all your birthdays rolled into one . I remember on one occasion driving a Metro Scanner called the banana split because of its colour. Unfortunately we only had it for a fortnight on trial. I think it lasted about a week as the brakes seized on and it had to be towed into the depot backwards . 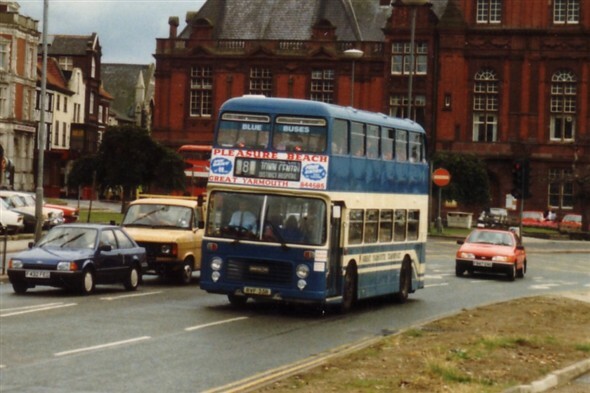 I learnt to drive in a Bull Nosed Leyland under Kenny Rice. 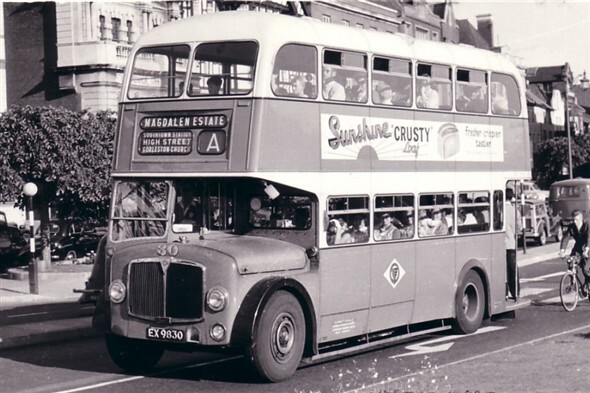 I passed in December of 1969 and as I said earlier drove many of those buses pictured. It was a sad day when G.Y.C.T came to an end. 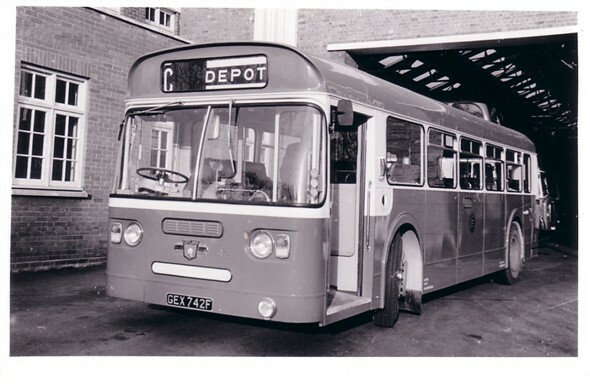 I had left in 1971 for pastures new, but I can honestly say it was the best job I ever had ,and worked with many smashing people both on the road and in the depot. 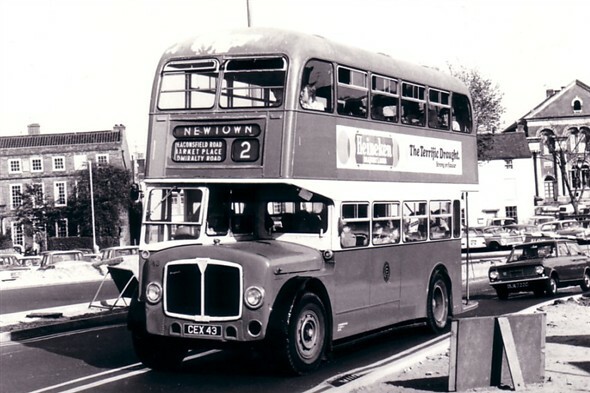 Fantastic set of pics, reminds me of taking the no 8 to and from Yarmouth for high school in the early 80's. What a host of memories! 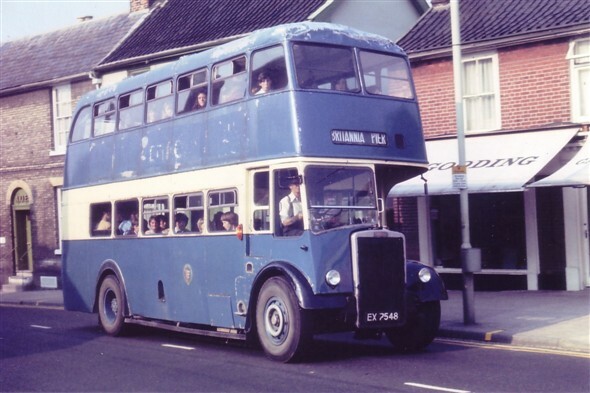 Growing up in Gorleston in the 60s the Blue Bus was the only way to get around. 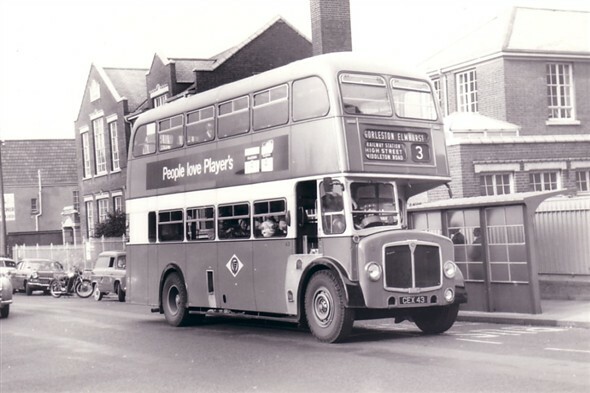 We would always wait on the Gorleston Church roundabout, where you could see the next bus approaching, look back up to the Shrublands for the No.8, Middleton Road for the 3, the No.10 would turn up Churh Lane at the Library lights, and the 9 would come straight up from the beach. 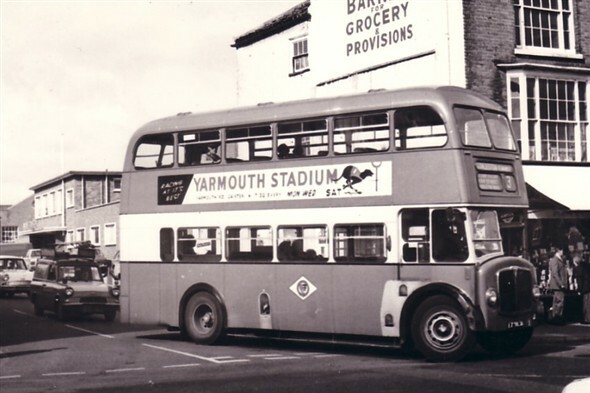 Four buses for Yarmouth, and you would never have to wait longer than ten minutesfor one. On a busy Saturday morning the No. 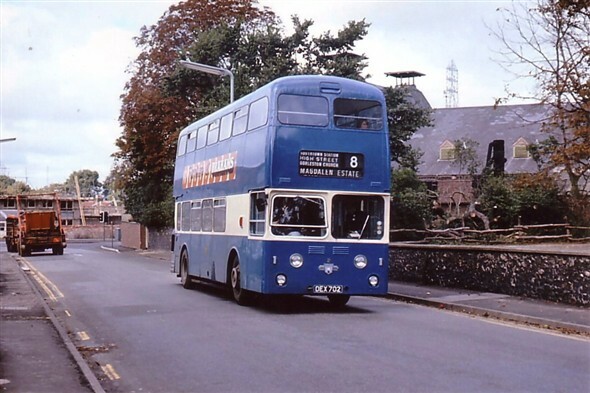 8 service could catch up with itself, coming from the Magdelen Estate you would often see two travelling together, everyone caught the bus, standing room only downstairs, smoking only upstairs! And twenty years after they built Market Gates, my Dad would still ask for the Regal. 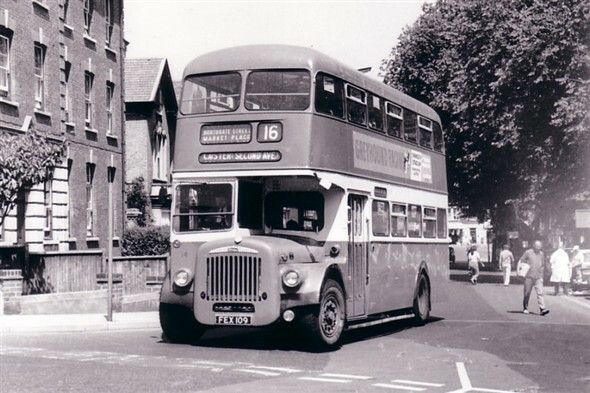 During the mid-sixties, at least, it was the custom to use about a dozen Grammar School Sixth Form leavers to act as conductors during the summer, to assist in providing the extended summer service. I spent the summer of 65 doing just that, discovering among other things that holiday makers leave their brains at home when they go to the seaside. 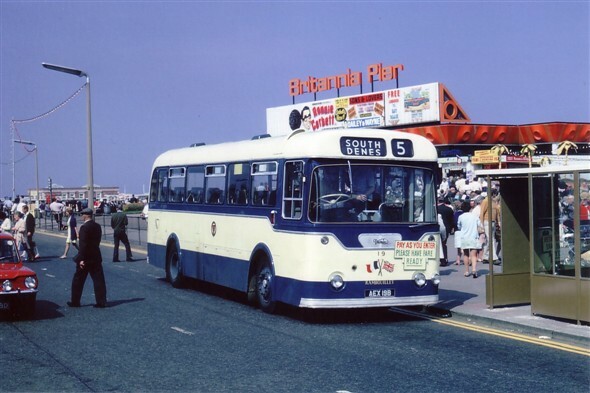 The bus may have announced "The Beach" in big letters at the front and at the back and even at the side but it was still necessary to ask of the driver or the conductor, "Does this bus go to the beach". 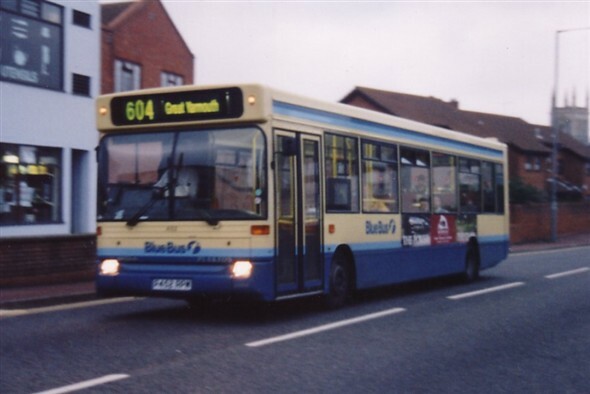 I also remember the Gorleston 15 minute services being degraded by the hopeless traffic conditions to the point where no bus appeared for an hour or more and then four turned up one after the other. 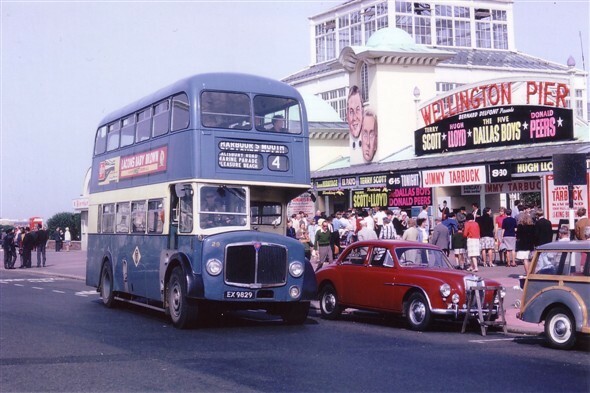 These pics took me back to when I was a young lad and spent our family holidays at good old Yarmouth. 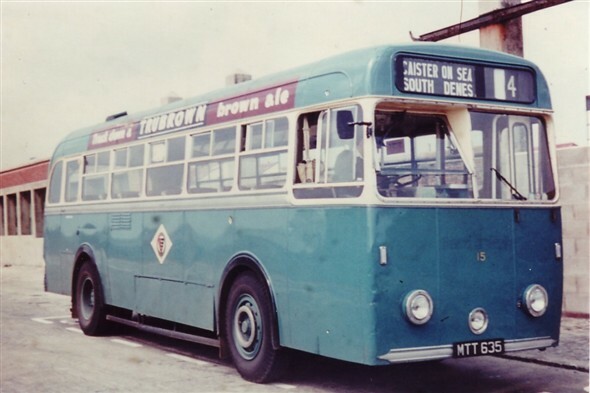 Some of the old buses had a moving screen behind the drivers seat that showed advertisements for local shops and events. Does anyone else remember them? This has got to be the most extensive collection of GYCT photos I have seen and brings back many memories. 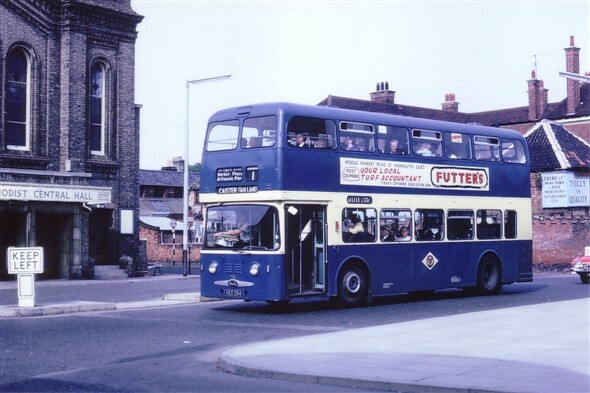 Although living on the southern fringes of London a number of my relatives lived in Great Yarmouth and Caister and my memories go back to the 1950's. 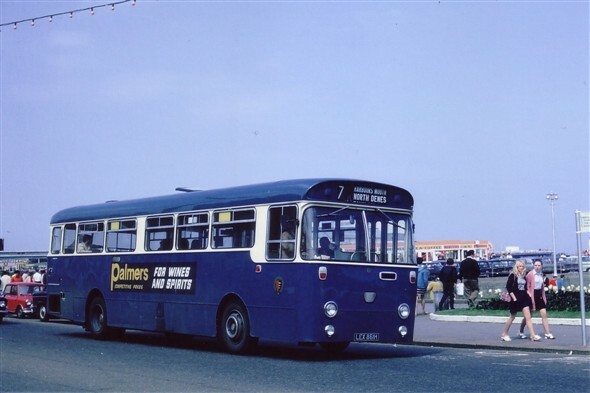 I can remember travelling on a Guy Utility which were sometimes used on service 1 from Caister and were quite common on service B to Gorleston Beach. They were not very comfortable having wooden seats. 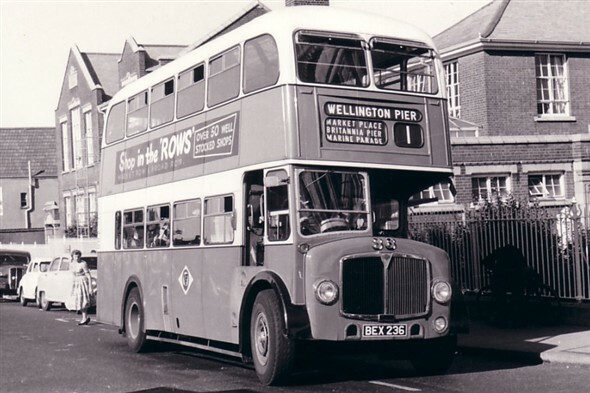 The service 1 ran to Wellington Pier in the summer and Town Centre in winter and was one of several services that ran along the seafront a far cry I believe from today. I think the most elegant were the PD2's. 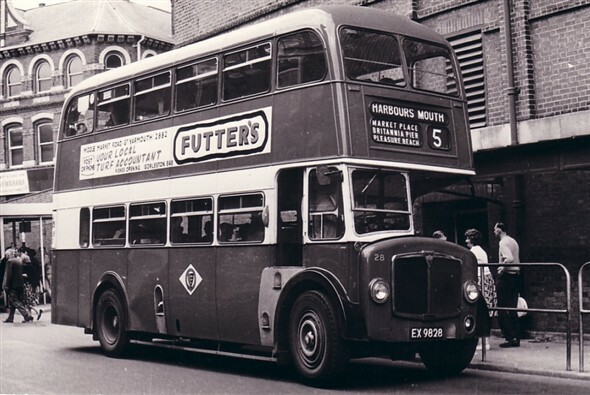 Does anyone remember some of the later rear entrance buses being fitted with a box fitted to the bulkhead behind the driver containing a number of advertisements which scrolled forwards and then backwards throughout the journey, a device I've never seen anywhere else. 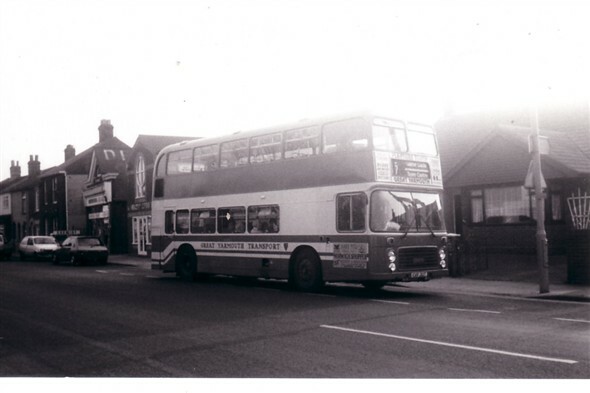 We used to catch the bus at St Julian Road, Caister, one stop up from the terminus at Tan Lane. 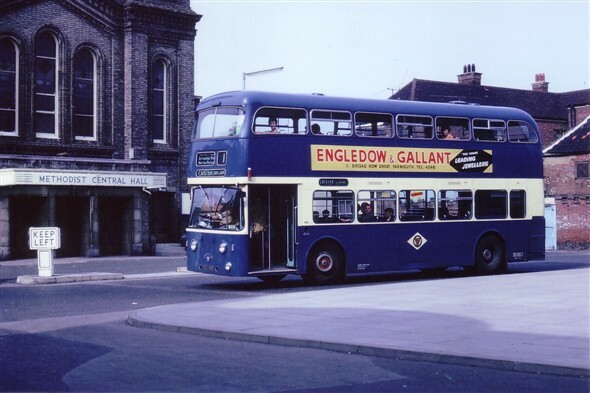 If one wasn't at the stand we sometimes tried to flag down a passing Eastern Counties bus into town, sometimes they stopped although they were not supposed to as I believe the agreement was that they would not pick up after Caister Police Station. 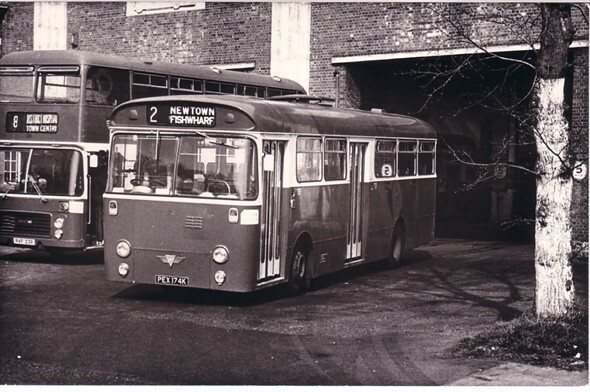 Regarding the photos those of number 13 and 54 I think these were taken at Mulleys yard in Ixworth Suffolk. I have seen other photos of Great Yarmouth Guys, PD2's and PD3's taken in his Yard. I have really enjoyed looking at these photographs. 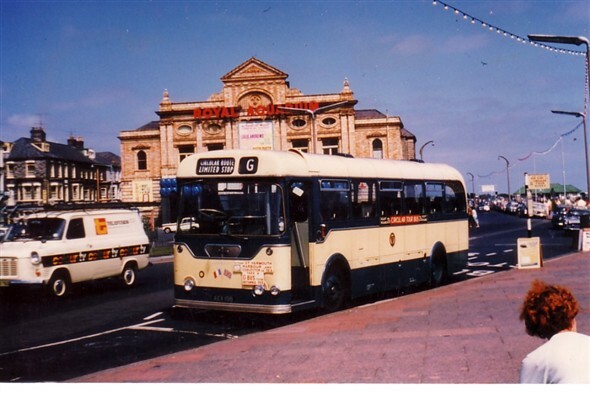 I was brought up on the Magdelene Estate in Gorleston in the 1960's and in those days we went everywhere by bus. What happy memories. 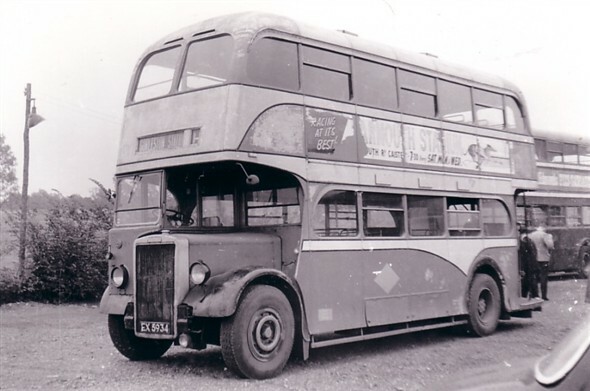 I have also been scouring the images hoping to catch a glimpse of my grandad Jack Lake who worked as a conductor, driver and inspector for almost all of his working life until he retired in the 1970's. So far - no luck though! 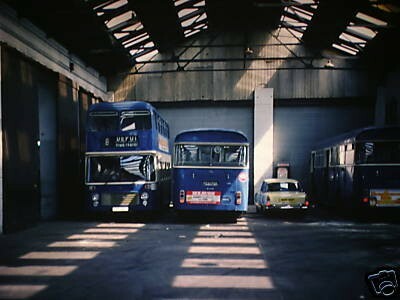 Some very nostalgic pictures of the Blue Buses. 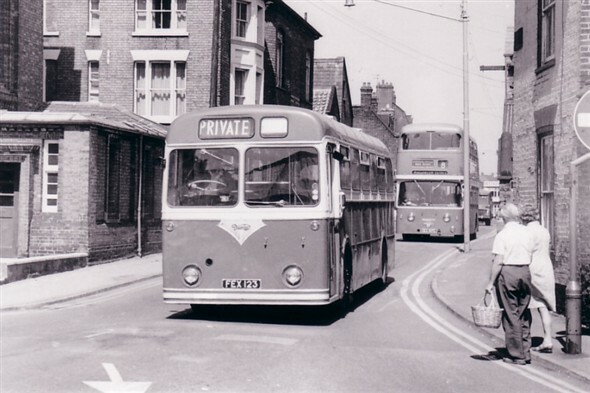 I lived in Caister and went to school at the Tech/Oriel and have been on quite a number of the buses pictured. I think I was probably a couple of years "above" you at school and did in fact marry Karan (Nichols) in 2000 (since divorced) and obviously know Frank and Valeries of the chip stall very well. Anyway, thanks for those pictures which brought back some nice memories. Lovely photos a pleasure to see and recall memories, well done for your hard work in preserving these and giving such pleasure. With ref to jack, like duncan I worked with jack from 1966 to 1971. I also believe jack was with the sea cadets at kolunga house when off duty. As I said I worked with jack until I left and joined the prison service where I worked with Jacks son at Hollesly Bay in Suffolk. We lost touch as I believe John transferred as did I to Norwich but I cannot remember where John went. Just goes to prove its a small world. AEX 33 is emerging from the conge into the market place, Futters furniture shop in the background. 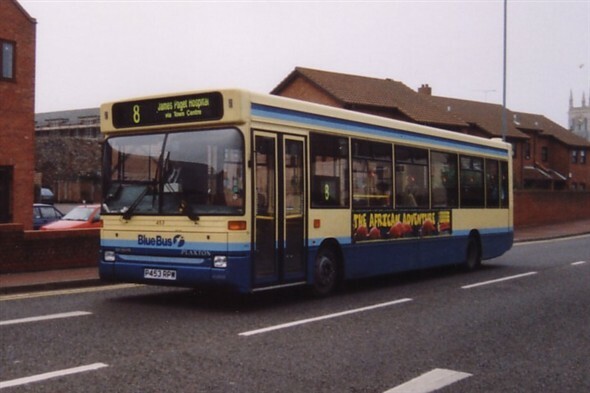 I remember Jim McMurdo very well from my old Blue Bus days a real gent, its nice to know there are still a few of the old crew left. I often hanker to get back behind the wheel again. 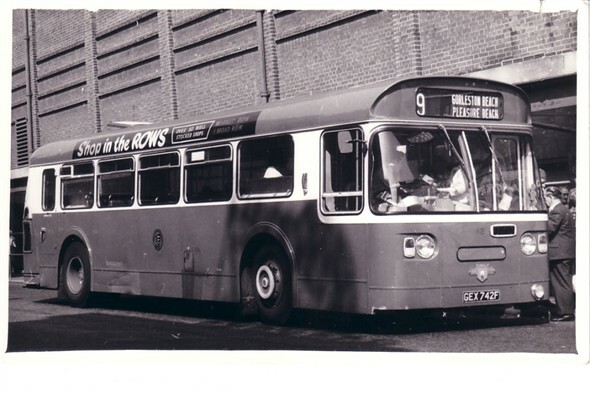 I did enjoy the job but other pastures beckoned and I spent 32 years in the Prison Service; but I loved the buses and have many happy memories of my days there. Thanks Patrick for some wonderful pictures and memories. 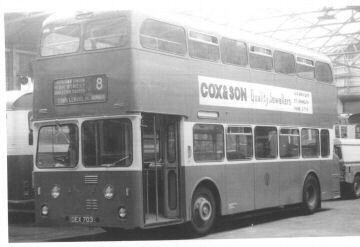 Picture number 28 of EX9828 at the Hall Quay stop also shows my late Uncle and Aunt, Jimmy and Maidie Waters of Cobholm! What an amazing surprise! Good luck with more photos from Alan of Adelaide, South Australia. 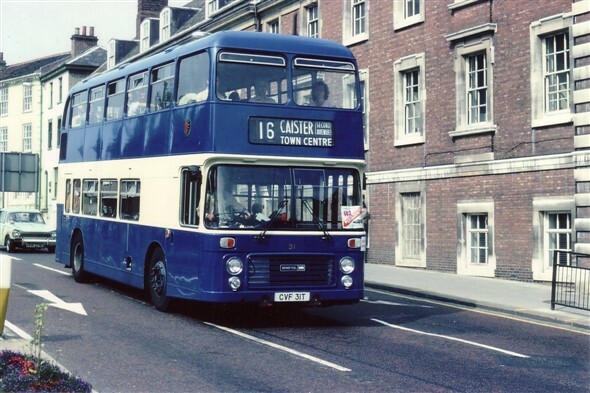 With my grandparents living in Caister (and me being a bus mad sort of person) I well remember travelling on the 16 (later extended 8) to Caister, Second Avenue. 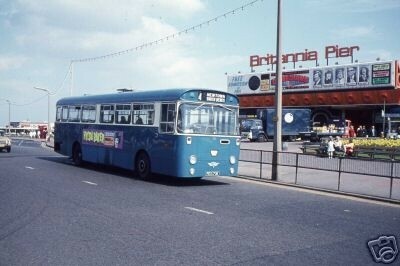 Glorious Leyland Atlanteans and all the way to Wellington Pier in the summer! Lovely photo collection you have! 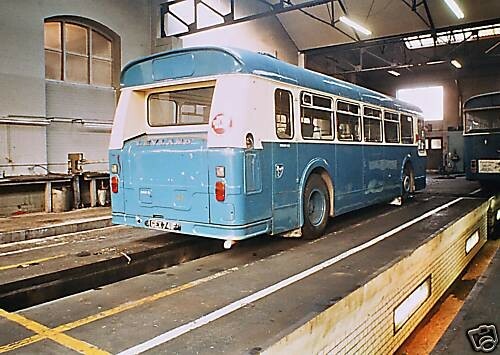 Was an apprentice mechanic on Blue Buses 1964-1969 great pictures. One small correction the Guy Arab you show was 15 not 13. Many memories for me here too. 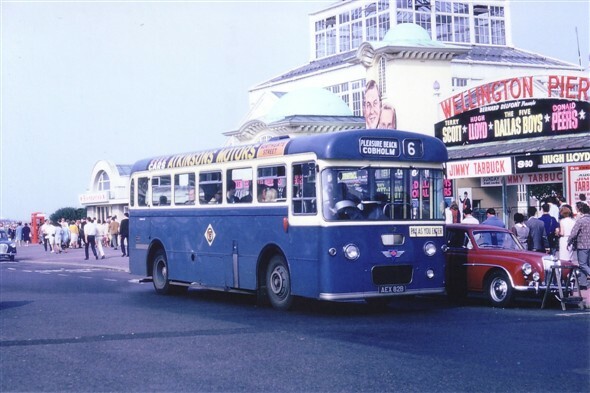 I was a bus conductor in Yarmouth in the summer holidays of my university years in the early 1960's. My driver was George, but I can't remember his last name. His girlfriend would often be waiting for him at the end of a run, so they could spend a few minutes together before we had to set off on the return. Some of the other drivers were dismissive of him for this, but I always thought it was admirable, and enviable. 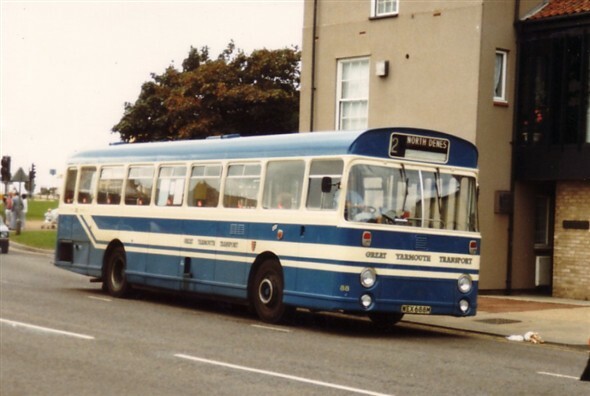 (If you read this George, I was the scruffy youth with the long hair, and on the late Gorleston run I would buy us fish and chips in Gorleston). 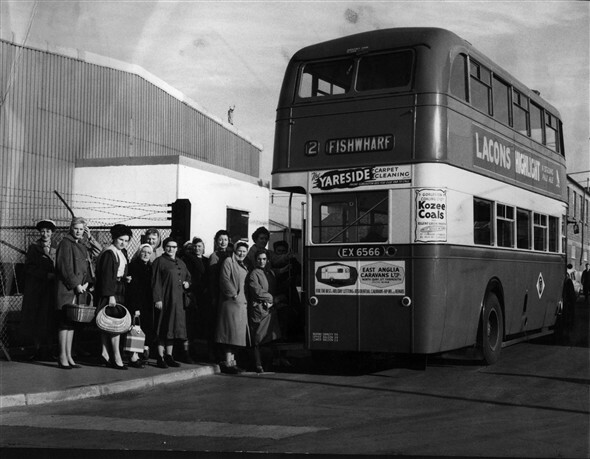 One late afternoon we were coming from the South Denes factories, on route to Gorleston, and the bus was packed solid with factory girls. 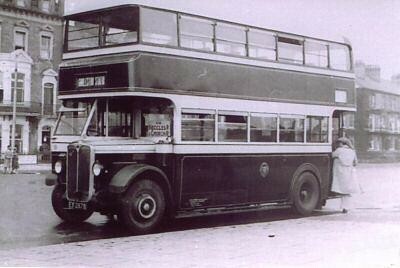 The bus was an old rear-platform type. Haven Bridge was up, and all the roads around it were jammed with stationary traffic; we were stopped too, on Yarmouth Way. As we inched up to a bus stop, two men got on. I struggled down the stairs (my progress hampered by about six people standing on them) and told them to get off - we already had about 20 passengers too many. 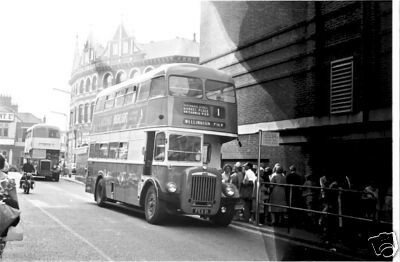 They refused, on the grounds that as the bus had just inched passed the stop, they couldn't get off - which was true. So I waited until the bus had filtered down to the next stop, which took about 10 minutes, then with a flourish I pressed the bell, which was unnecessary as the bus was already stopped in the still jammed traffic. "Now you can get off", I said - they had no choice. But I was angry. I grabbed the bars at each side of me, blocking their way. "That's three pence each", I said. Three pence was the minimum fare. They glared at me, and I glared at them, for many long moments. Everyone on the bus stared at nothing, in complete silence. Slowly, one of the men took out a sixpence and handed it to me, and I let them pass. Since they were two big grown men, and I was a thin weedy youth, I recall this incident with utter amazement. 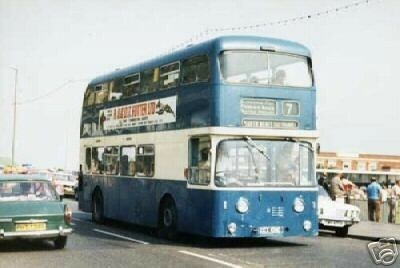 I was the conductor on the late Gorleston run (was it no. 12 or 13?) in about 1965, with my driver George (see previous memory.) We ran from Alexandra Road Yarmouth to Gorleston Cliffs. 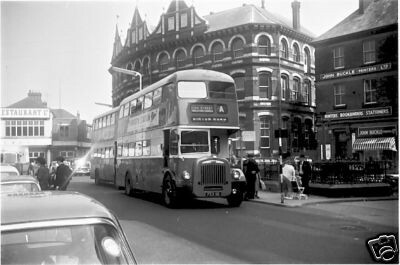 Early in the evening a young man got on at Gorleston with his girlfriend and offered me the two fares, which was about 11 pence. Now, when you handle money all day long, you get used to what a fare should look like, and often, if it looks right, you don't count it - you just throw it in the bag. But I didn't like the look of the money he gave me, and so I counted it. It was a penny short. I said, "You're a penny short". He sheepishly offered me the other penny, which he had been holding in his other hand. Embarrassing for him but, you might think the end of the story - not so. 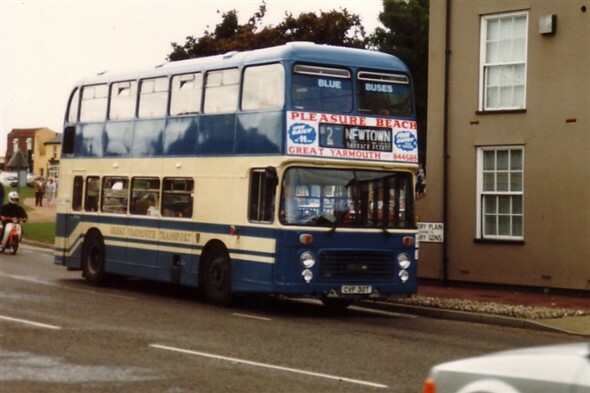 At about 11.30pm, at Alexandra Road, who was it got on my bus - the last bus to Gorleston? It was the youth and his girl. And what did he offer me for the fare? A big brown ten shilling note. I went back to my locked box under the stairs, and took out my bagged up small change. And into his cupped hands, I slowly and carefully counted out his change - two half-crowns (five shillings) and 36 or so large brown pennies (three shillings.) Neither he nor his girlfriend spoke a word. Such instant, neat, and perfect justice is rare indeed. But he was powerless. He knew he had tried to cheat me, and his girlfriend knew, and I knew they both knew! Keith: Your unfortunate bus inspector (27/11/12 post) must surely have been Philip - can't remember his last name, in fact not sure I ever knew it! (I posted this reply on another thread on this site a year ago, and thought I'd copy it onto here - pleased to find that the GYCT recollections now have their own sections): Well, well, Tracey Horn - I thought I recognised the name and now, if I think back, I can picture you too! 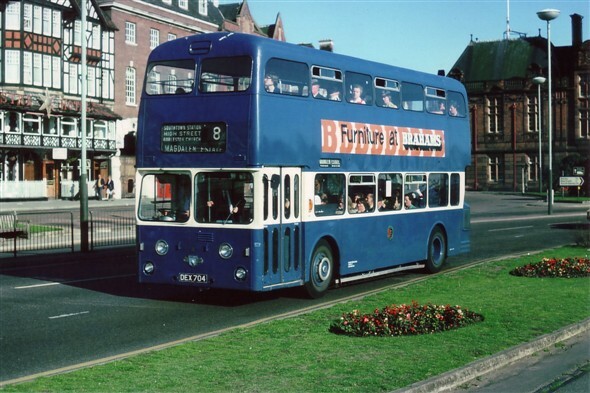 If you really want to open up a new train of nostalgia, how about more on the Blue Buses in the mid-70s? 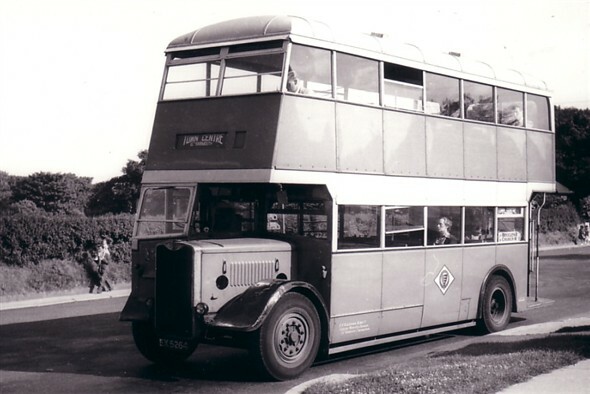 I was one of the students who started off conducting and lingered on for a few winters as a driver. Here are a few names from that period to conjure with: Skippy, Ludkins, Hosea, Tony Miller (I loved that guy! Where is he now? 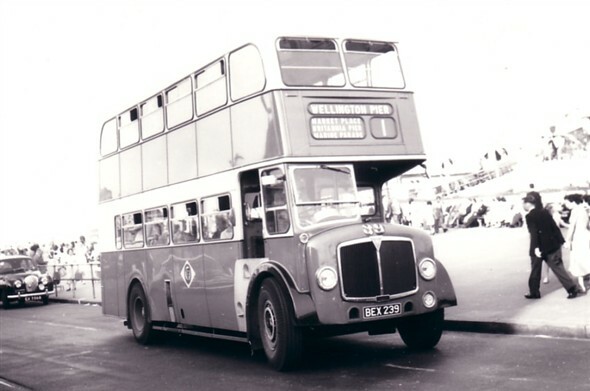 ), Cry-Baby Salmon, Micky Mouse, Chaston, Ali B the Inspector who taught me to drive a double-decker (thanks Alan, you were a brilliant instructor) and so many more, it was an amazing interlude in my life. I live now at the far end of Britain but still remember those days with much affection - and many laughs. Just a few lines to my fellow ex workers at GYCT who have written on this page. 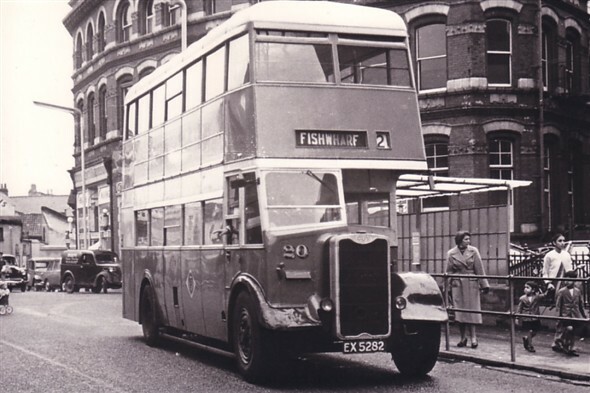 I started on the buses in 1965. 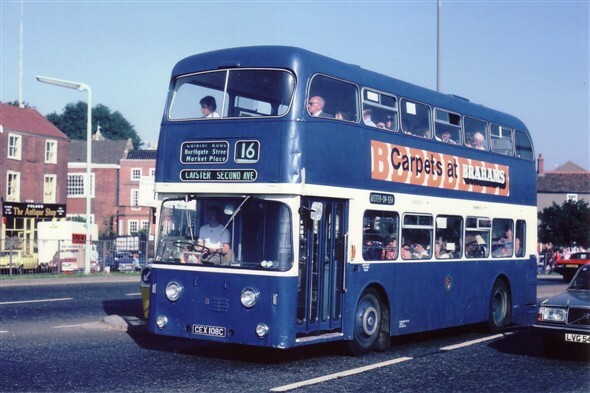 Keith Banner was my first conductor after passing my driving test in 1965 (May) on bus 48; taught by Rip Kirby. Keith and I had a good working relationship for a couple of years, until he went driving. Notable incidents - left him behind at the Erie Resistor one afternoon after picking up the working girls at 16:30 I think he caught the bus up at the Half Way House stop, crossing the river on the ferry. 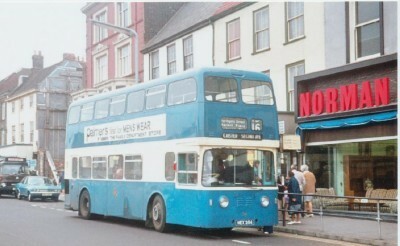 Then there was the time a baby’s buggy shot off the bus platform turning onto the Quay from Yarmouth Way. 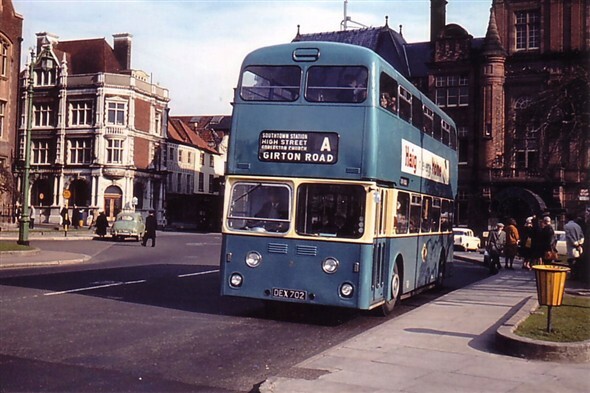 In reply to Nick Gilman’s questions Skippy is back on the buses, Ian Hosea is on Park and Ride in Norwich and Mick Rouse is still at the depot. Stan Chaston is about Hemsby; Ali B is still in Yarmouth retired. Dave Salmon passed away a couple of years ago. I saw Tony Miller in town in the summer. He is still a great Eric Clapton fan, but has lost his hair. Often see Jim McMurdo and Billy Ditcham along the Prom and I bumped into Les Rose last week in town. The pictures Patrick Burnside put on the web are excellent. I think the Inspector on the bus shunt could have been Gordon Teasdale. Other Inspectors about that time were George Farman, Stanley Read, Paddy O’Reilly, Charlie Cotton and one who kept pigs over in Cobholm. He used to serve in the canteen after feeding them. 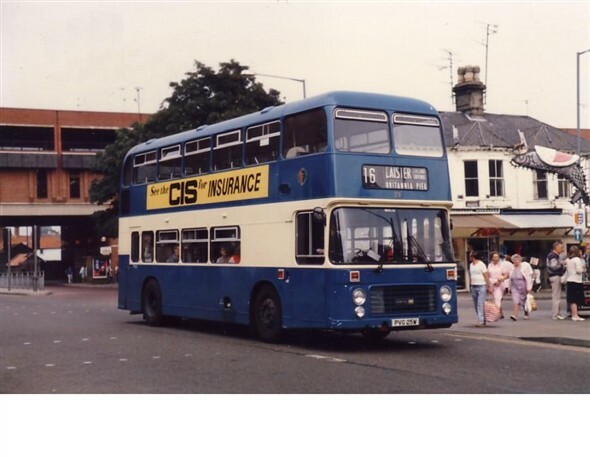 I had 32 years with the bus company and enjoyed them all, also met some super people. Peter, the inspector who kept the pigs was Jimmy Smith I believe. The late Henry (Doc) Gadson and myself I reckon were the best crew on the Beevor Road to Newtown factory run at lunch-time. Old Doc was always singing 'King of the Road' when we reached the race course. Loved looking through the photos. 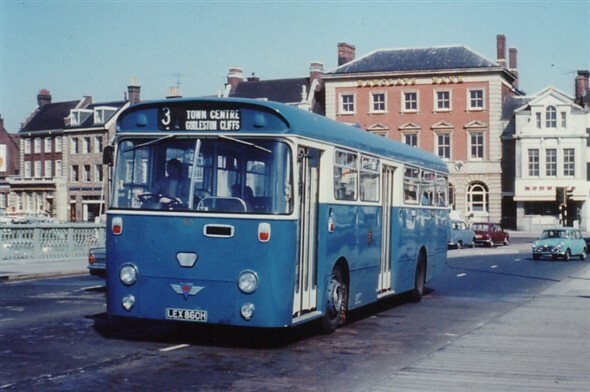 I was on the Blue Buses getting home to Beccles many times. I did particularly enjoy the ones showing the Regal, having revisited Yarmouth over the years and the new building that has occurred I was beginning to think it was a figment of my imagination. It was great fun and brought back many happy memories of Petes words, all very true, but we had some smashing times, as Peter said I stayed as his conductor until I passed my driving test in Dec 1969. I was so sorry when i read that Henry Gadson had passed away, he was one of the blue bus legends, along with Alan Burton, Roy Dougal ,Ernie Comer, Jack Lake and countless more. Wouldn't it be nice to have a time machine and go back to those happy times. Thank you for the many comments that have jogged my memories of my late father Jack Lake. I recognised most of the names mentioned and a lot of them played bowls for the transport team. My brother, John Lake, was mentioned, he too belonged to the Sea Cadets meeting at Koolunga,where my mother ran the canteen for the hungry cadets. My brother finished his career with the prison service at Lincoln Gaol. He passed away at the age of 62 some 16yrs ago. 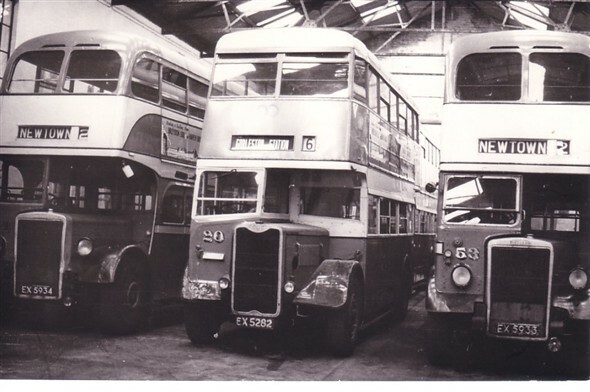 Really lovely to see the collection of GYBC Transport, My Dad the late John Spall also drove in the "50 - 70 " when my sister and I were growing up, a lovely era, I remember when he did the Magdalen route he would pick us up at the beginning of Brasenose ( where we lived) and we would go to the bottom end, he would then have his tea-break with us and drop us off on the way back!! ( would never be allowed now!!) 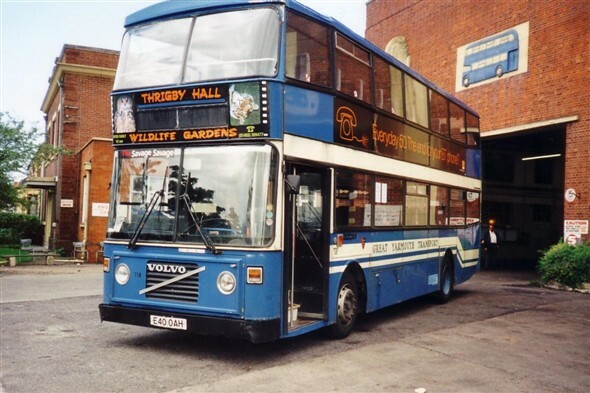 we also had yearly outings going on Blue buses ( usually single deck) to exciting trips, well we thought so, to London Zoo, Gatwick Airport, and the xmas parties at the Sandringham Hotel were brill, must have had a good social club. 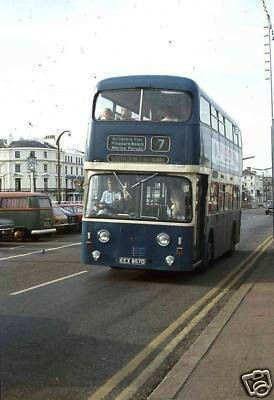 There was also the time that we would go on a Friday to the canteen where my father would collect his wages and we would have a lovely cheese roll and a cup of tea, always being lifted up to see the counter, Lastly I think he was the first driver to have a Clippy on board, a lady I think her name was Brenda, a lovely lady who became a friend as was all the people that worked there, I remember a lot of names sadly to many have now passed away. I had great pleasure in browsing through both the photos and the comments from the former G.Y.C.T era. 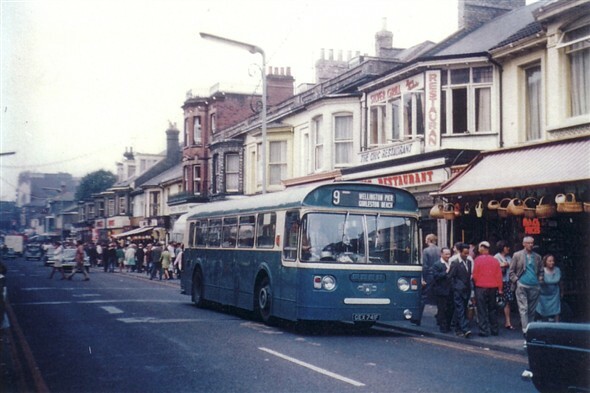 I spent most of my school holidays in the late fifties and early sixties with my grandparents who lived at 291 Beccles Road, Gorleston, next to Westbrooke Avenue. 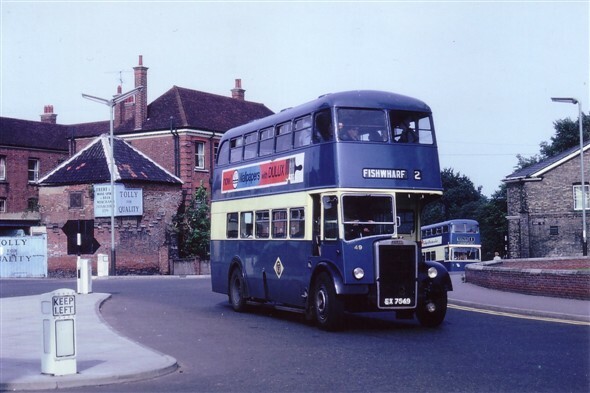 The bus route from there was served by Eastern Counties service 19 but if there was not one due (in those days they ran every 40 minutes) we used to walk through the 'prefabs' to Shrublands where we could catch the Corporation service A. I remember when the Guy GS saloons arrived on hire from London Transport for the Gorleston circular service, I think it was numbered 8. 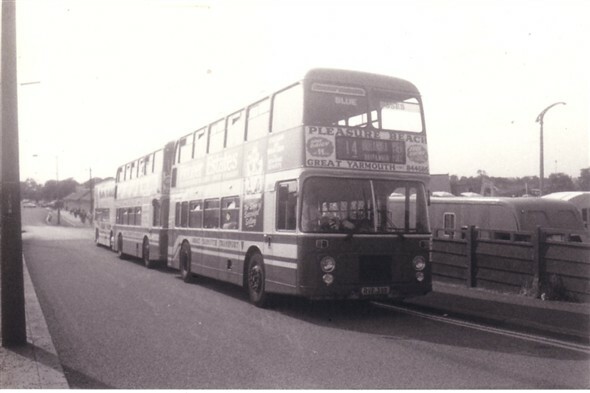 It came along Beccles Road and used to wait time at Lynn Grove. 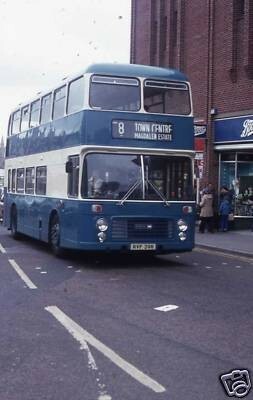 I did many circuits on this route, which later used new Albion nimbus single deckers. 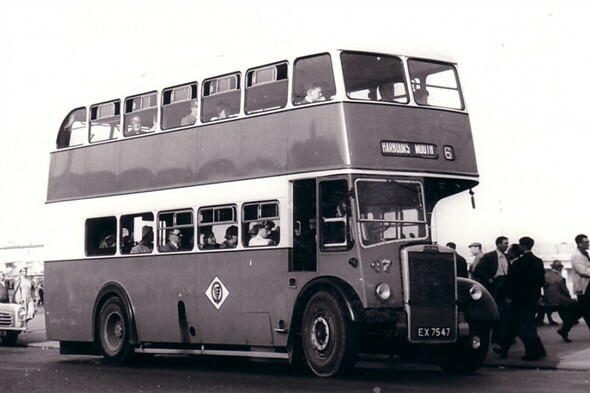 The driver was usually Frank Wood, who lived near the crematorium on Magdalen Estate. 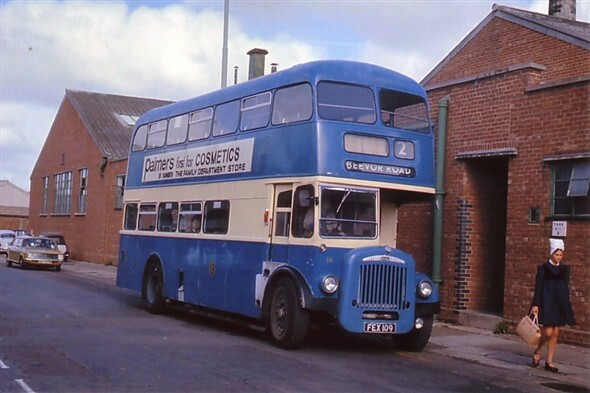 I remember he invited me to go together with his son to visit Caister Road depot one Saturday morning where I saw one of the AEC Regents, CEX 43, which had just been delivered from the body builders and was waiting to go into service. I also remember being allowed to sit in the cab. Many years later, after a 5 year spell in the Army, I lodged with my grandparents for a while during which I was employed by GYCT as a conductor. I can't remember the names much now but this was early 1969. My driver was an ex London Transport driver called Alf. He lived somewhere in Caister and came to work in a split screen Morris Minor, green I think. 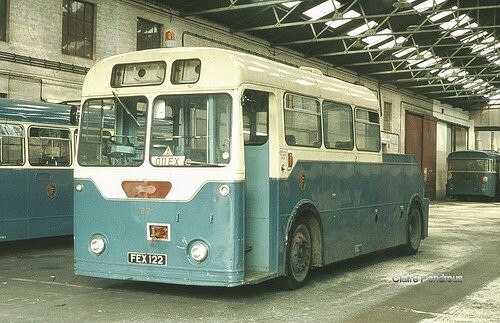 He later took up garage duties including driving the late night staff bus which was normally one of the AEC Reliances. 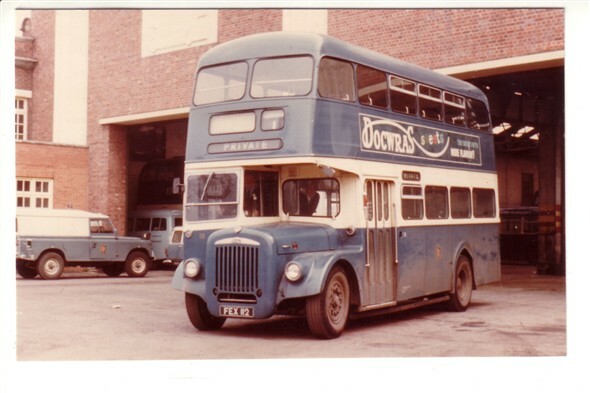 After that I was put with a driver who I later saw became a foreman or supervisor at Norfolk Motors Services. 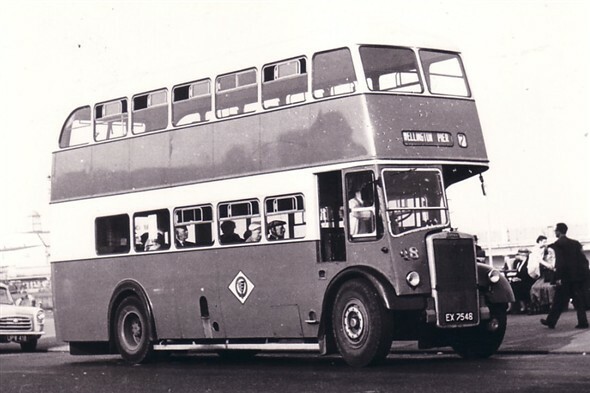 If you were interested in becoming a driver you were allowed to undergo training, in your off duty time, on a training bus which I believe was AEX 333. 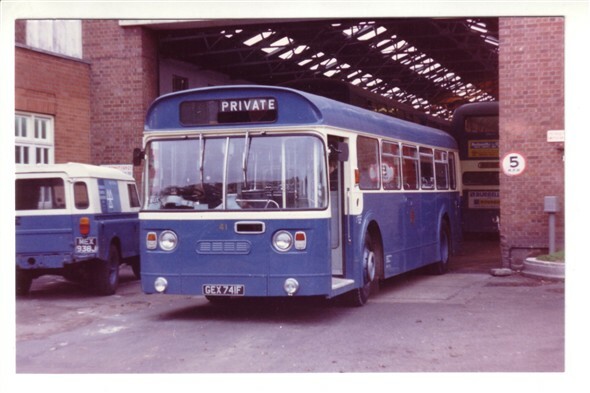 I went out a few times, can't remember the instructors name but he was a very pleasant chap but when I realised it could take up to two years from the time of passing a PSV test to becoming a regular driver I left and later become a driver on Eastern Counties at Norwich and later at Attleborough outstation. They were truly great times at GYCT. 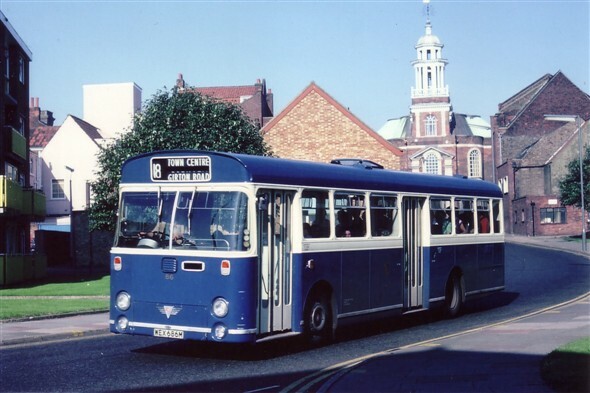 Although the open platform buses were very cold in the winter, particularly on the Gorleston Cliffs route I clearly remember the delicious bacon rolls and tea on the market place and also visiting the upstairs cafe in the Billiard Hall. Thanks for bringing back some truly fond memories. Viv Carter. 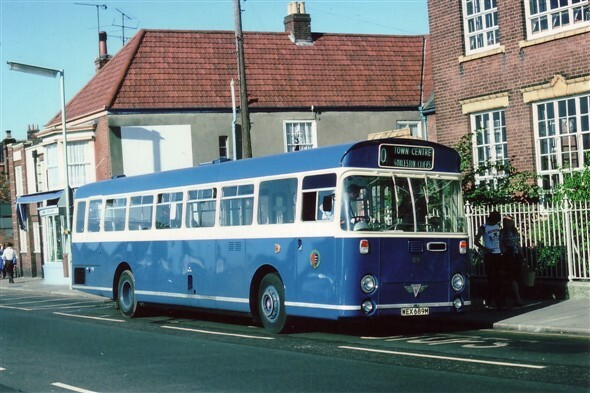 When I was a kid, we went to Caister on Sea for holidays and what fascinated me about the Corporation buses was the way the routes had numbers for the main town, but letters for Gorleston. 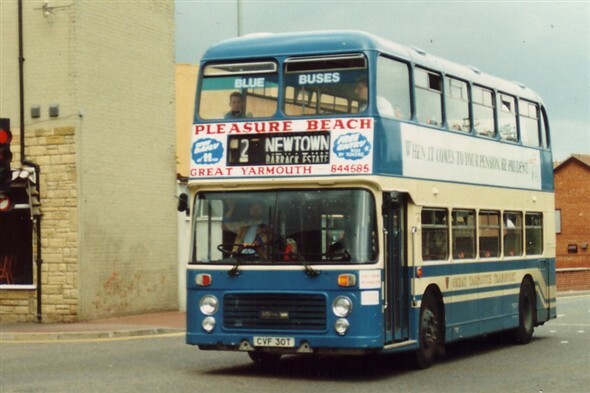 Destinations I remember are Gorleston (Beach), (Elmhurst), (Green Ace) and Library and if I remember rightly they went down Crown Road. I don't suppose anyone has a list or map (or both!) 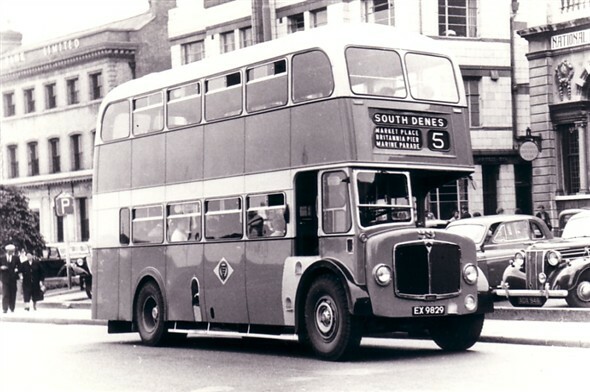 of the routes in the late 1950s. 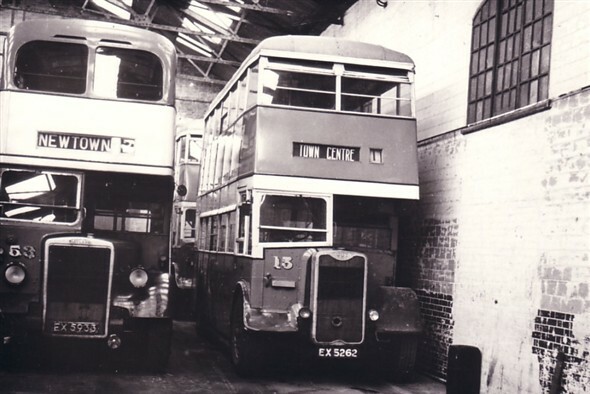 Part of Christine Woodrow's post (11/9/13) reminded me of one of the great unsung heroes of the Caister Road Depot as far as I'm concerned. 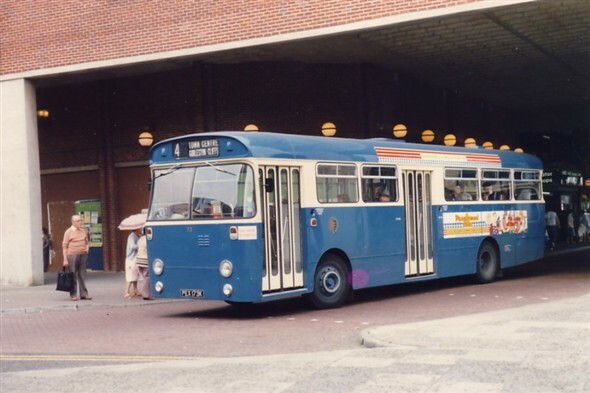 I was a summer conductor for the 1976 and 1977 seasons and then stayed on to get my PSV, drove full-time until the end of 1978 and came back as a driver for summer 1979. Throughout that period, as I remember, there were three ladies running the canteen - Paddy, the Manageress; a lady whose name I can't recall (sorry!) although I can picture her quite clearly; and dear old Mabel. Mabel was a genuinely kind and sweet lady who was always cheerful and looked after me so well whenever I ate in the canteen - which was almost daily, they were the only decent meals I got in between doing my shifts and going down the pub (sometimes both at the same time!). My favourite meals were salad and chips in summer and double egg and chips in winter (I'm easily pleased) and Mabel, forever taking a quiet motherly interest in my well-being as a wayward lad in my early-twenties, always ensured that my plate was piled high and that I wouldn't go hungry! Christine's post also brought to mind those huge cheese rolls sold in the canteen which went down well with a mug of tea in the shorter breaks - I certainly had my share of those too! Thank you and bless you Mabel, I remember you with much gratitude and affection. I have been widely traveled by now at the age of 50 this year and have had many adventures and jobs in engineering, and even worked for the BBC in London! But when I first left school, I was an apprentice Diesel Mechanic under dear old Norman Watters (now long passed away) who gave me the best piece of advice ever, which was that when in doubt, ASK! That served me well my entire life so far! Also, respect your elders! Also served me well. But he was the one who taught me the methodology that I now apply to everything I do. He taught me to be meticulous, and that also served me well. One thing he didn't teach me however was punctuality,as he was exactly one half hour late clocking in each and every day! It was legendary! So I had to hang around and have an extra cup of tea in the canteen until he turned up! I asked him once how he got away with it. He said they couldn't do anything about it or get rid of him because he was the only chap in the whole depot who knew how to repair quite a lot of older engines! I could quite believe it,as he taught me to do some quite arcane repair jobs that I now find I'm the only person I know,who knows how! Of interest to me is Swift no88, who's engine was blown up by a certain driver who shall remain nameless, and was the first engine rebuild that Norman set me on solo! 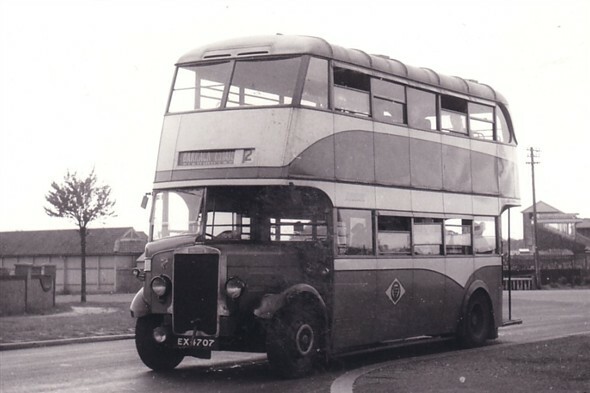 I did a grand job,just as I was taught,and Wally,Norman and I took it for a test run down to the old power station, where we stopped,checked all was ok, and then Norman bought us ice cream to celebrate my very first engine rebuild. 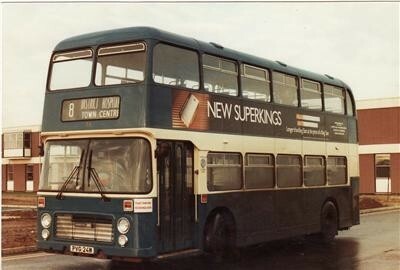 So Swift 88 from then on,and still is "my" bus. I wonder if it still exists somewhere? 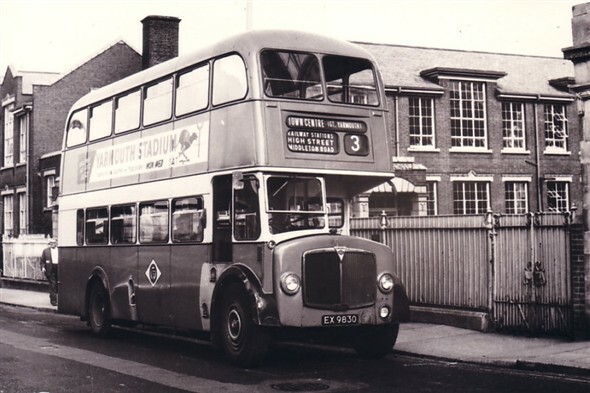 Happy days of youth,buses,smoking a Players no6, and wearing an oily flat cap! 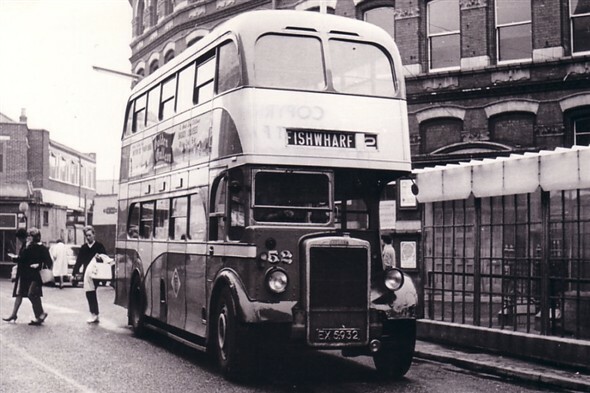 I worked on the buses from May 1960 until November 1966 when I joined the Police. 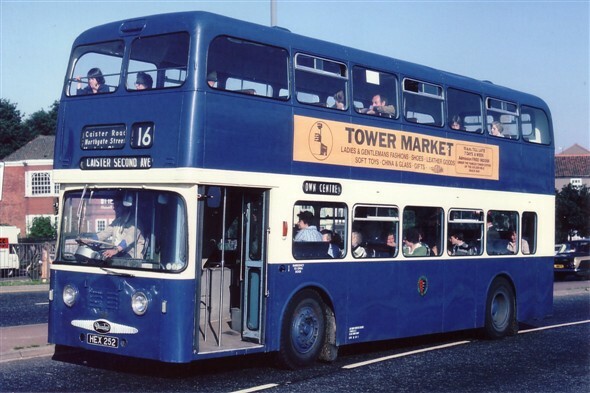 I drove many of the buses in the photographs, passing my PSV test in July 1963 on the day of my 21st Birthday. 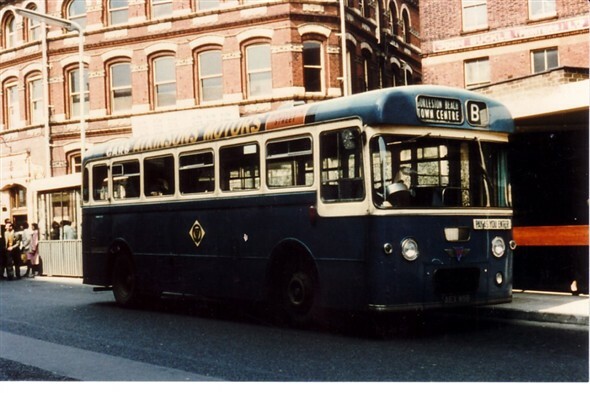 I was taught by Georgie Farman the Chief Inspector was Sid Skoyles Many Irish students were employed for the season and 4 stayed with me and my newly married wife in Stanley Terrace they paid us £4 a week for BB and a packed lunch. I remember many of the people I worked with Mick Colby,Tony Chesham, Henry Doc Gadson, Lofty Hewitt, Johnny Spall, Pete Macinna and so many more. I was one of the first drivers that did private hire. 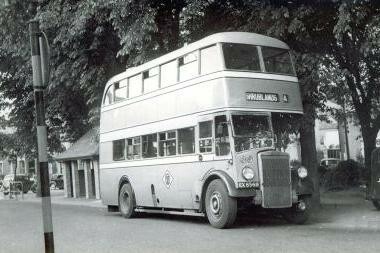 we used the Daimler single deckers in the number 21 onwards. 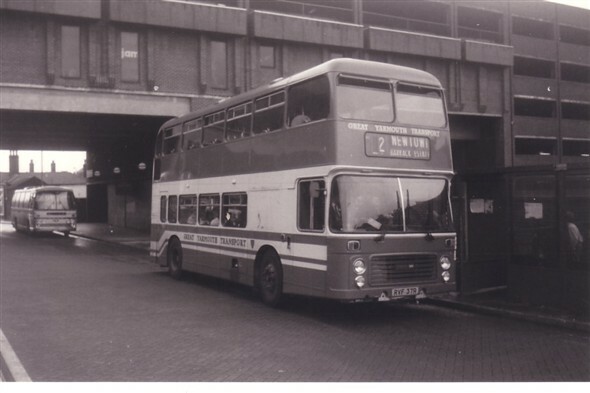 We were on hire to United Counties out of Northampton and Bedford we would drive down late Friday night sleep on the back seat and service back on Saturday to the Coach Station. 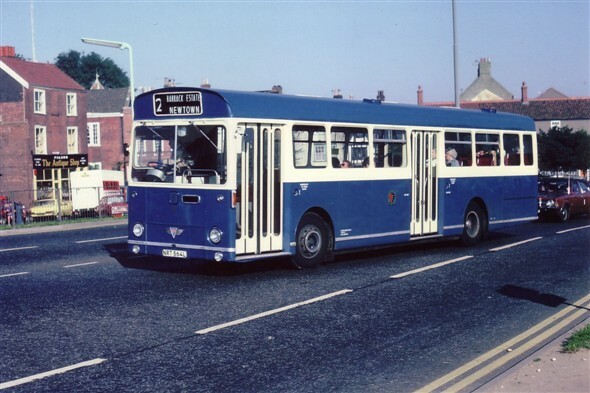 Then probably work a late on Caister or number 7.No Tachos in those days. I worked as a one manner for 4 years before leaving. 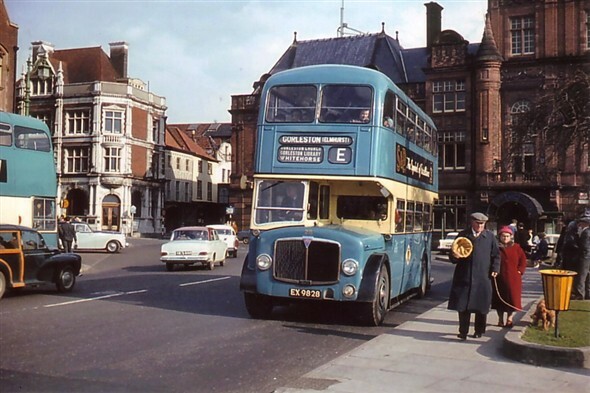 I have many happy memories of my days On the Buses. Jim McMurdo? You most probably do not remember me, but I was a student seasonal conductor in the summers of 1977 and 1978. 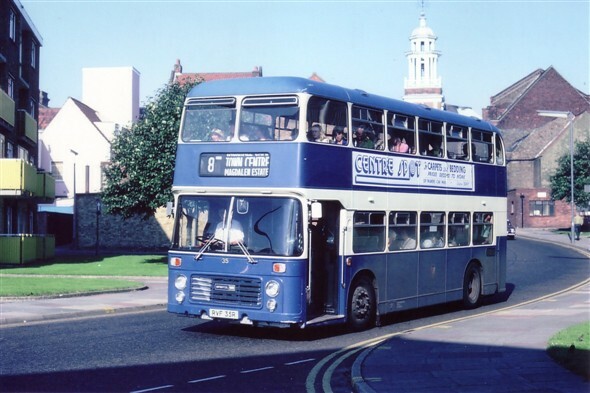 You were OMO in those days, but I remember we did about three runs on the 16 to Caister and back one early evening in 1978. It is good to hear some of those old names again. 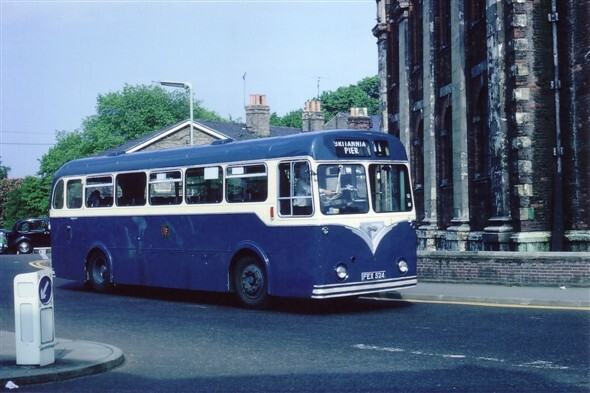 I am all for having some nostalgia about the blue buses in the 1970's, having put in two summer seasons there while a student (1977 and 1978). The odd thing is that the dates and information you give fit for another ex-blue bus employee whose surname begins with 'H'. Could that possibly be you? 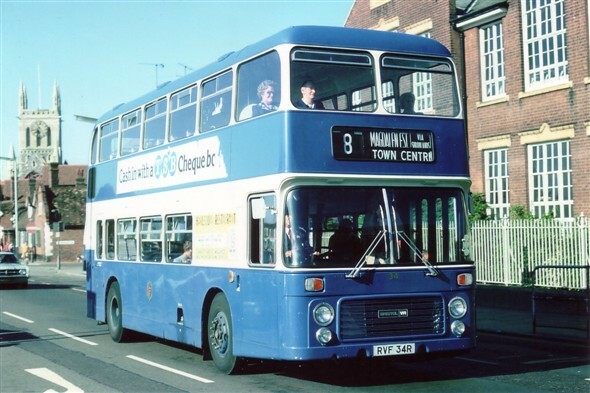 If so, I was your regular conductor for the first few weeks of the season in 1978, before they changed everybody over for the peak season, when you had Micky Hall instead. It was you who - if you are Mr Nick H. - introduced me to the forbidden fruit of sneaking off to pubs for a quick drink while on late shifts. The Theatre Tavern close to the Town Centre terminus on the 'Mag' was a favourite. With hindsight, not a good idea, but I had only just turned 21, this was not a permanent job and I was a long way from home. As you say, you were a footloose twenty-something yourself. 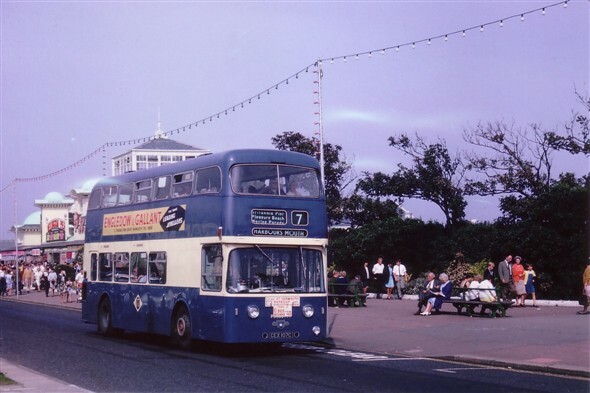 I seem to recall doing an early-evening stint with that same driver near the end of the peak season, by which time he wasn't my regular, on the short sea front number 7 service. It was quite a long stint, probably 5 or 6 45-minute round turns, and there were no refreshment facilities at either end. It was a dreary evening and close to the end of the peak season, so it was not very busy. After about two runs, I was feeling fed up and had the bright idea of getting off the bus near a large pub about two stops before the South Denes terminus, getting a sufficient supply of bottled beer so that we could each drink one every time we were at a terminus, and then picked up the bus on the way back and quickly took the fares of the passengers who had been on since the terminus. All strictly forbidden of course. We would then have had a bottle of beer each at both ends of the route for the rest of that turn- one beer every 22 and a half minutes! Very reprehensible of course, but it happened. If you are Nick H., do you recall that? Perhaps that was another driver. Then there was the graffiti - some of it very witty - on the cashing-in section wall. I made a certain contribution towards that! By Norman Balls - 08/05/2014 - Norman .. I remember you! (See my earlier memories.) You told me a story about being stopped by the Police one night, and they asked you your name, and you said, 'Balls,' and kept a straight face, and they got very heated. Keith Wooldridge. 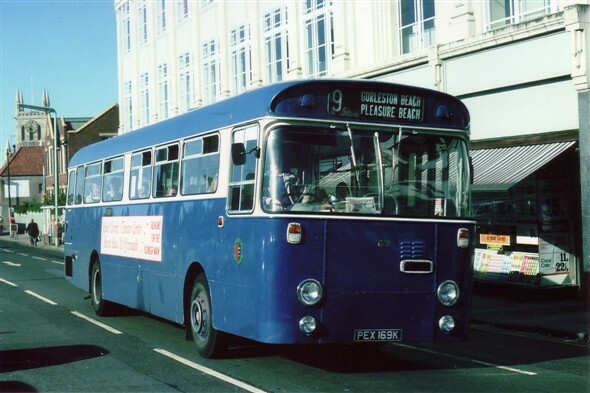 Enjoyed the collection.Happy memories of holidays and days out to Great Yarmouth Would anyone have a list of services operated in the 1950/60 or an old timetable. 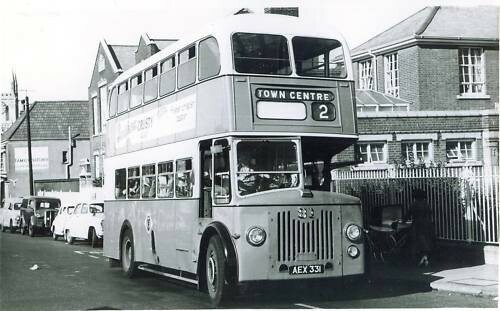 I would be happy to purchase to complete my records of all major bus operators in that period throughout the east area. Kathleen.. Was your grandfather Wilfred the brother of Eddie Beckett and Len Beckett? My husband Eric's uncle was Wilfed Beckett. Loved looking at the bus pics. Remember the Birdseye stop. As I worked there just after my marriage in 1955. I mostly walked to work. 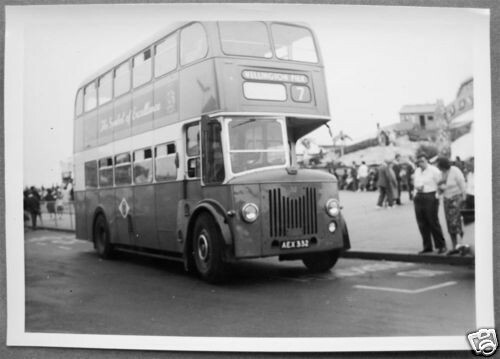 My dad Lenny Hales worked on the buses from February 1952 until October 1981 when he took early retiree.t would be good to see if anyone remembers him. 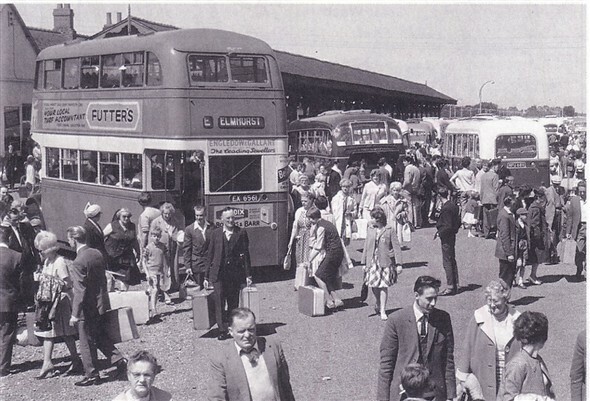 Ironic looking at these pages, as my family left Gt Yarmouth in 1959. 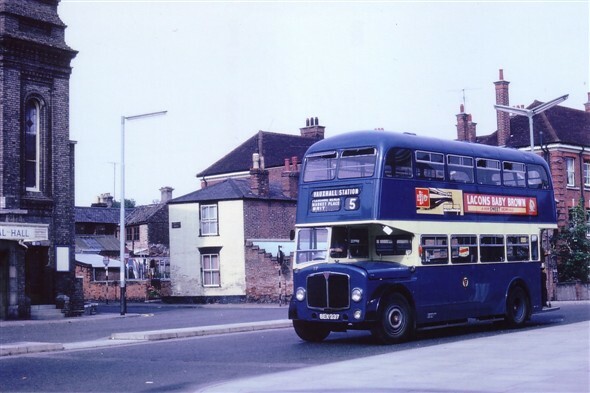 I did used to get the bus from the top of St Peters road to Greenacres school. 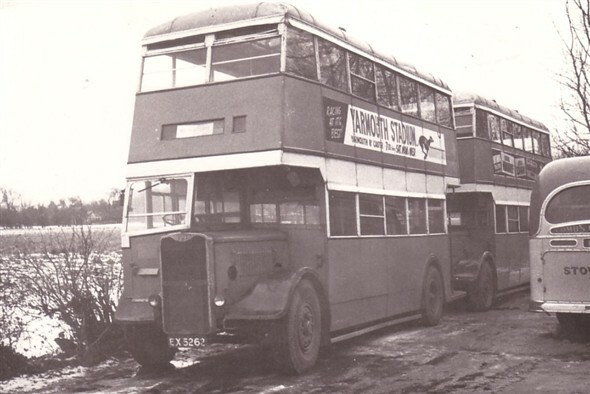 The irony is that having lived on the south coast since we left, a couple of years back I acquired all 3 volumes of 'Transport in Gt Yarmouth' from a friend who was clearing out his grandfathers stuff. 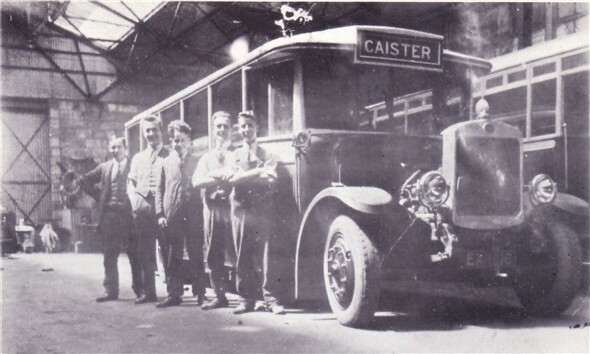 Apparently he worked in the Caister depot. 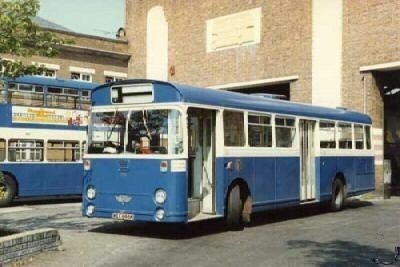 I wondered if anyone remembers my father Lenny Harrison (Waxy) to his blue bus mates. 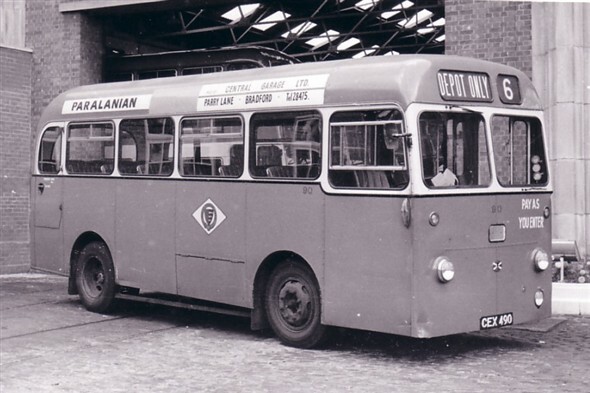 Sadly he has severe dementia now (87), and I cannot remember what years he worked on the buses. Would love to hear from anyone. 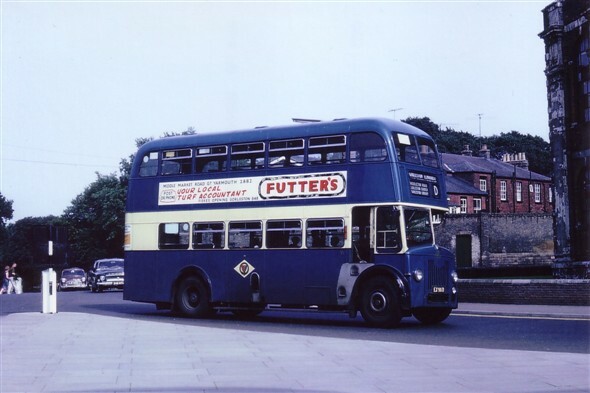 I have shown him some pictures from the blue bus archives and he loves to look at them. 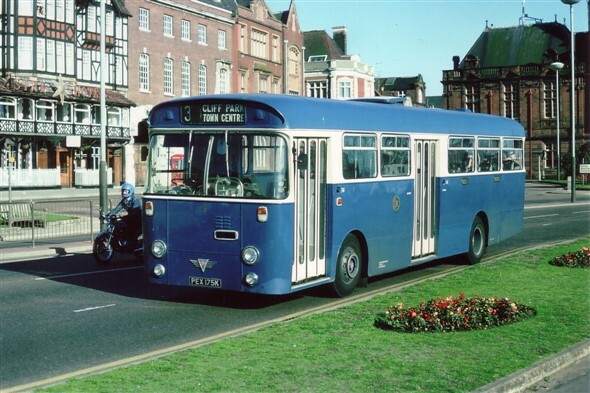 Former GYCT driver Roy Dougal died on 25 February 2016 - there's a bereavement notice in the online GY Mercury. Not sure when the funeral is but if anyone knows please advise. 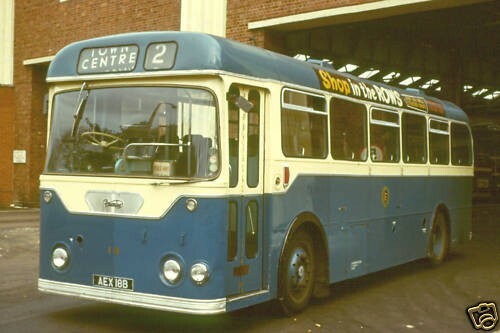 I worked as Roy's conductor in 1967/68 before obtaining my PSV driving licence. Roy was a very hard working and pleasant chap - pleasure to work with and a great sense of humour. His father Billy Dougal also worked for GYCT both as a driver and a bus mechanic. Last time I saw Roy in GY maybe 34 years ago he was driving for another bus company and in recent years he was working as school crossing attendant - and gained an award for his duties. R.I.P. 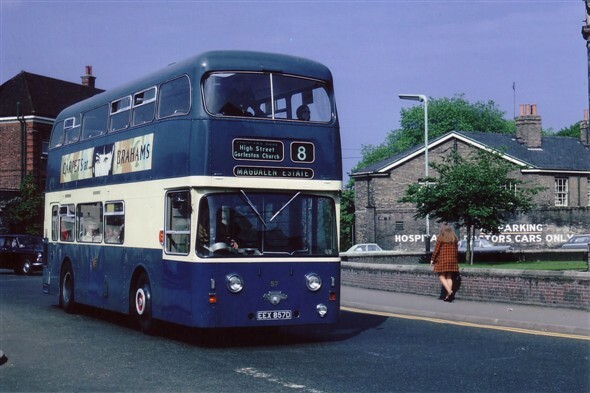 Roy … lots of fond memories - especially the stories of your 'dry shaves' … to wake yourself up before walking to the bus depot for an early morning shift !